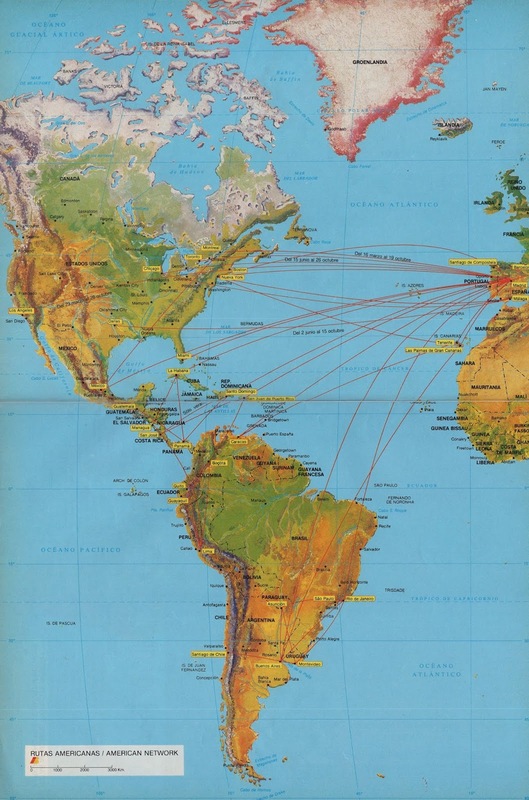 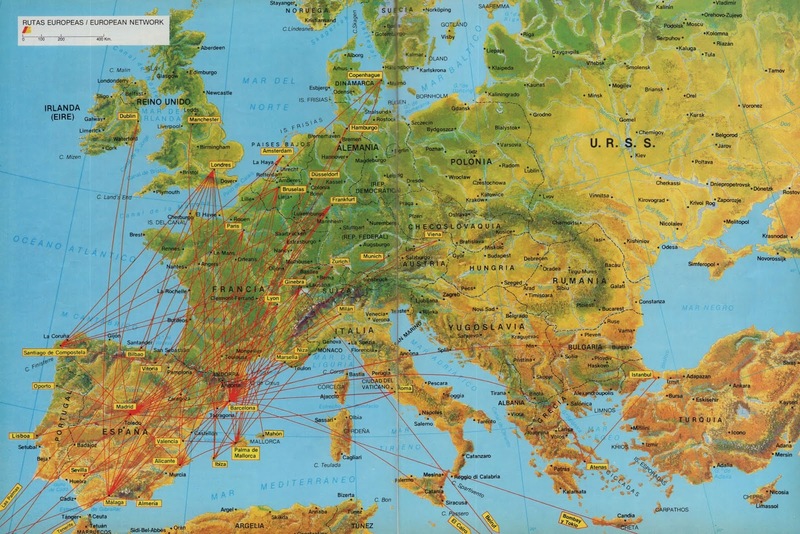 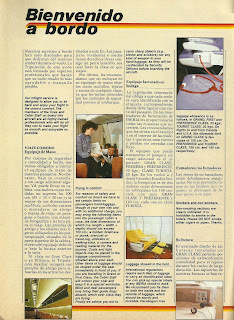 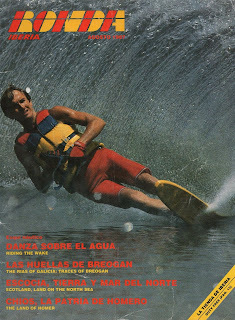 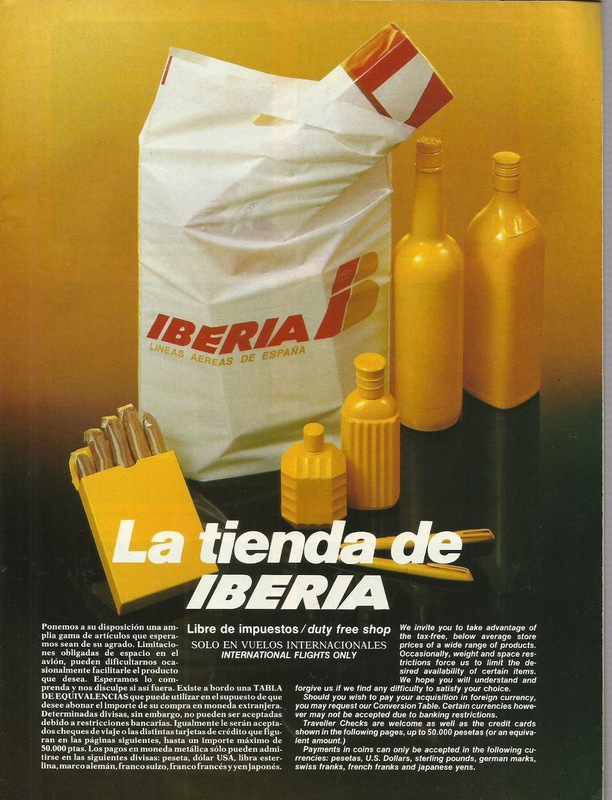 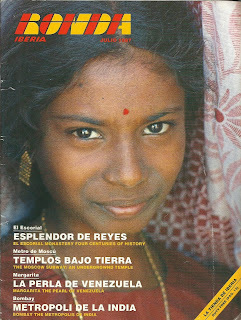 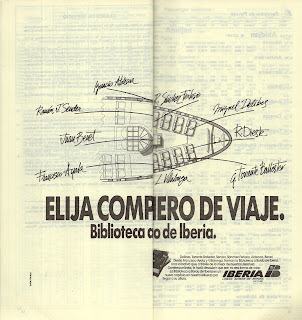 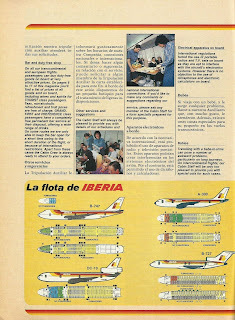 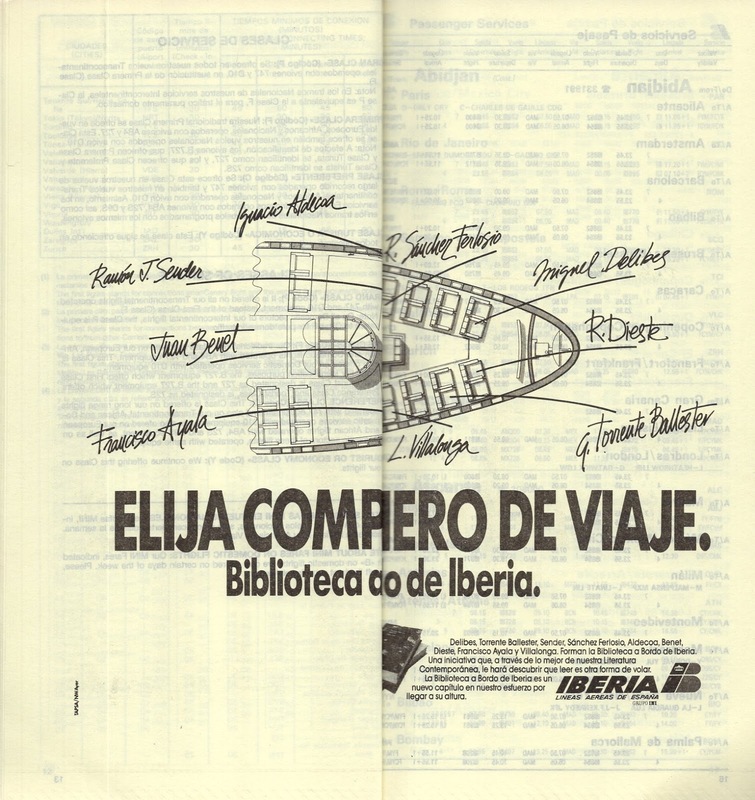 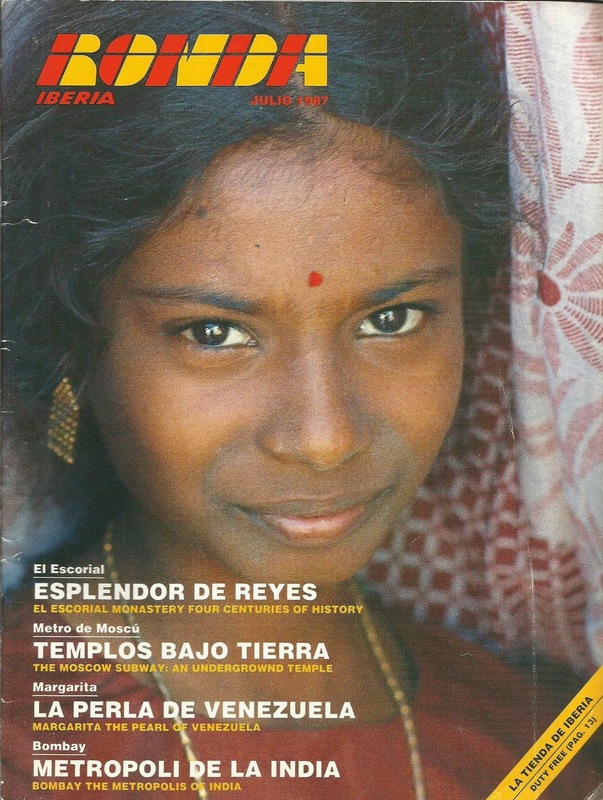 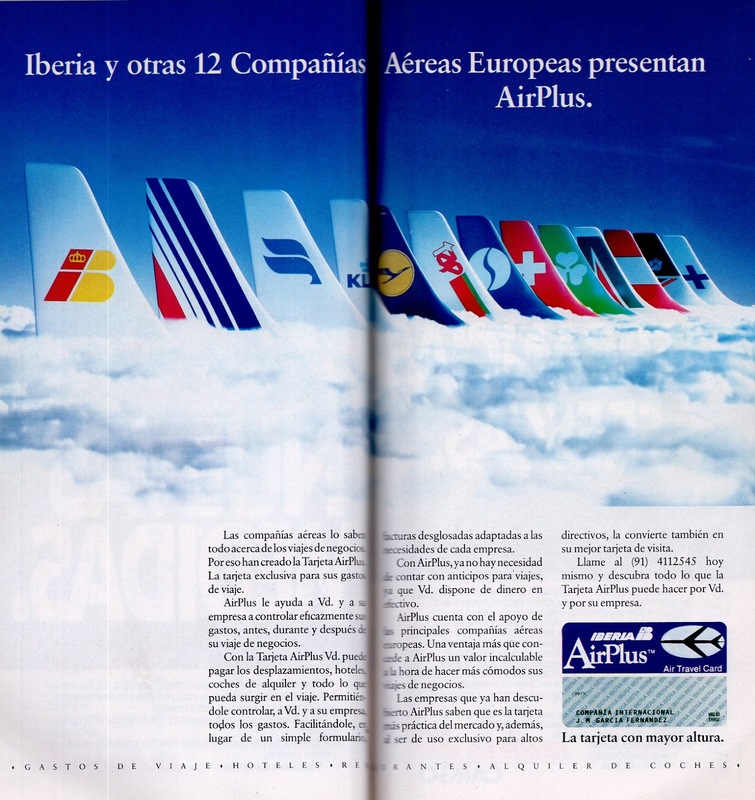 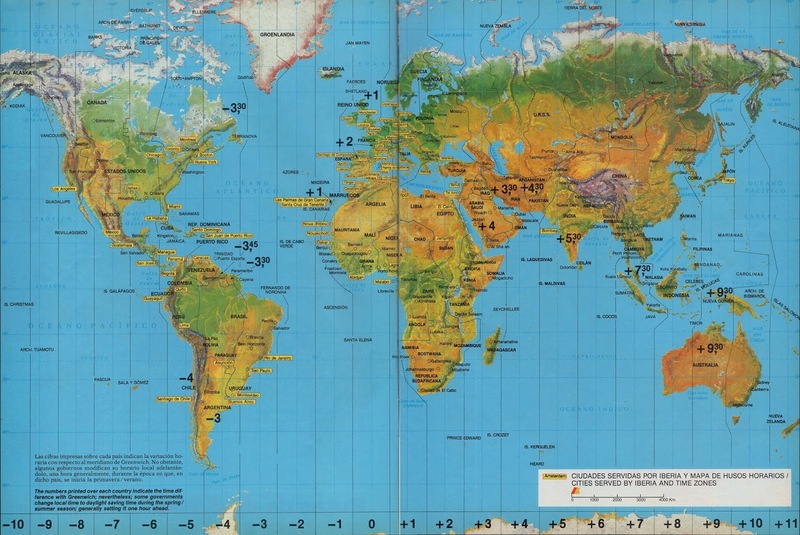 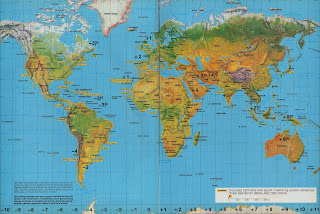 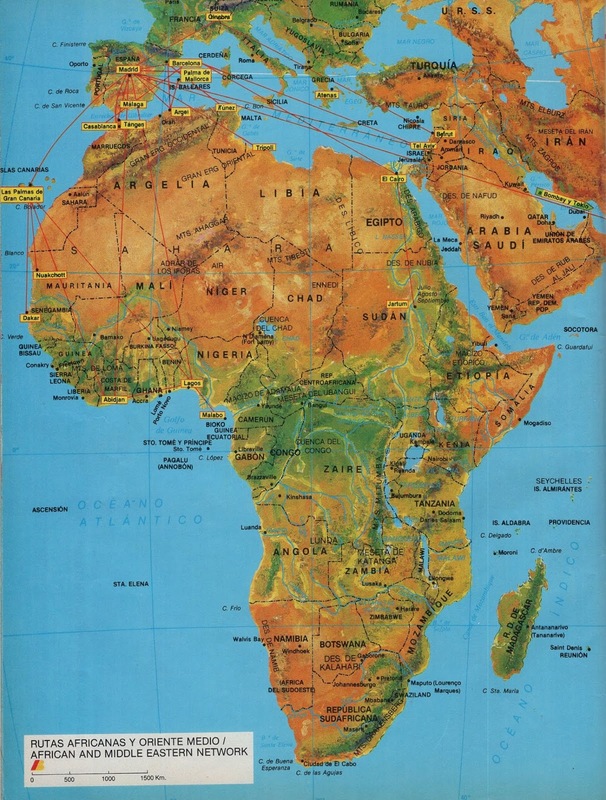 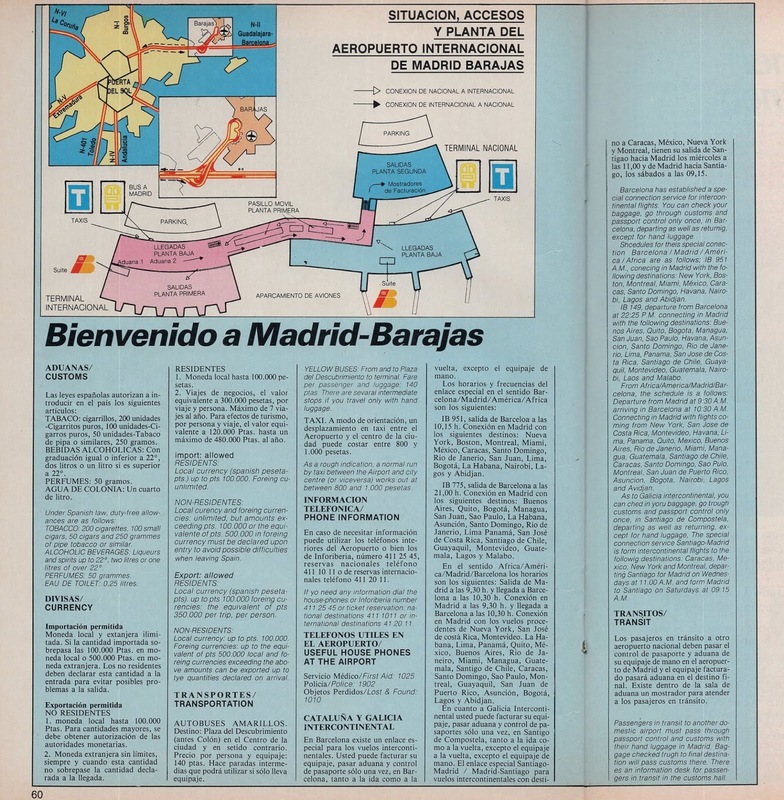 Añado además algunas páginas de las revistas Ronda Iberia de julio y agosto de 1987 con mapas de rutas, diagramas de cabina, mapa del aeropuerto de Barajas, etc. 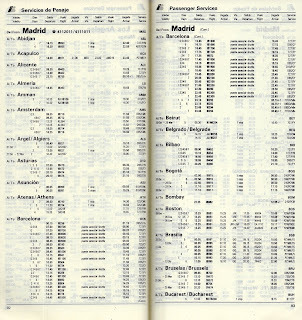 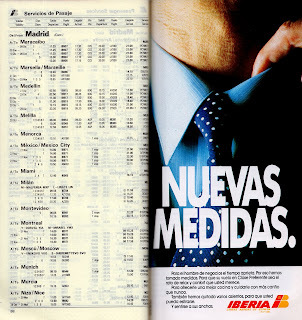 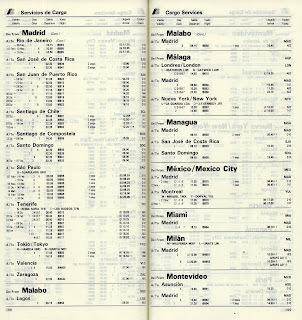 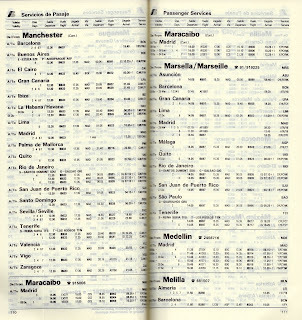 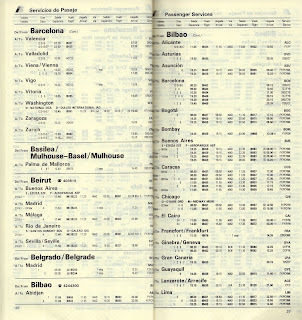 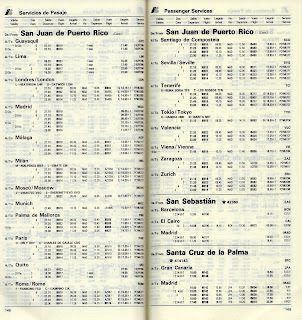 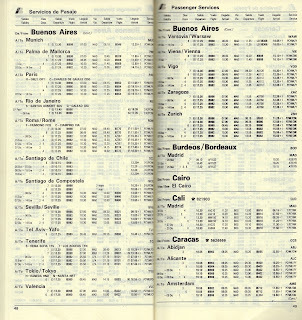 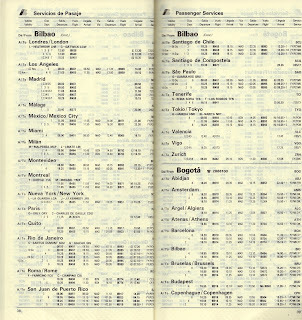 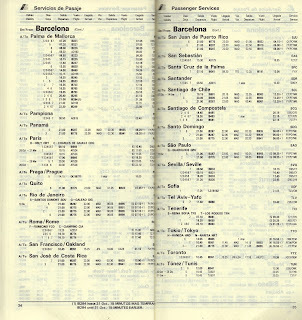 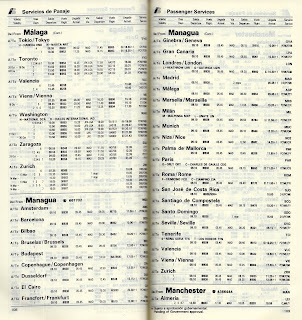 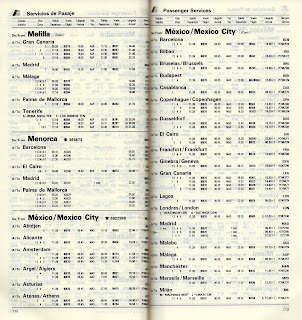 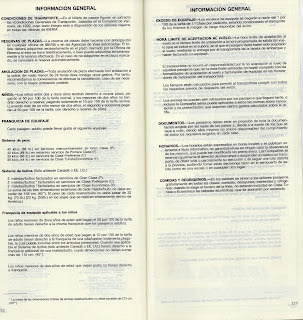 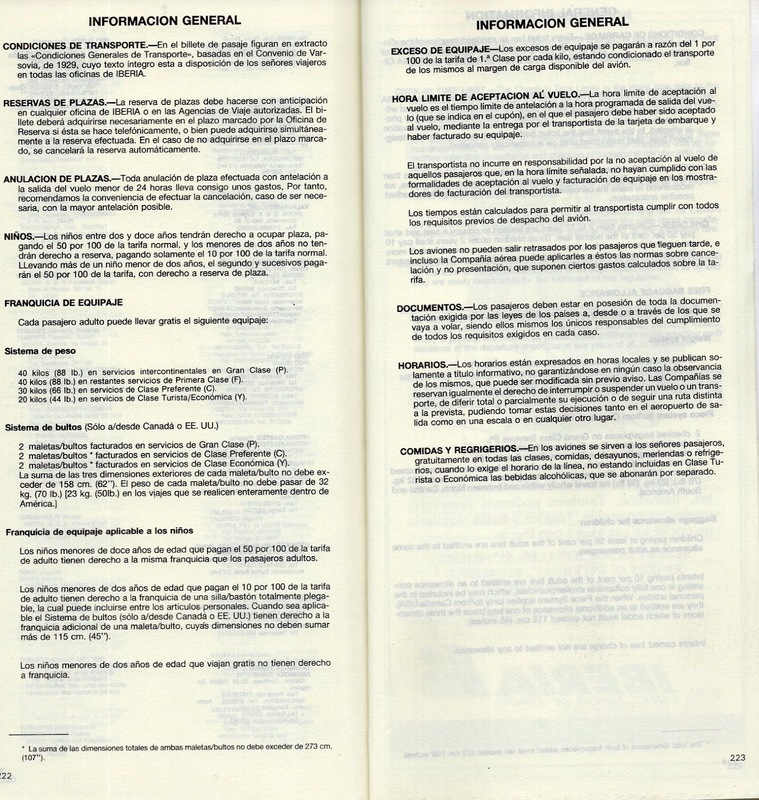 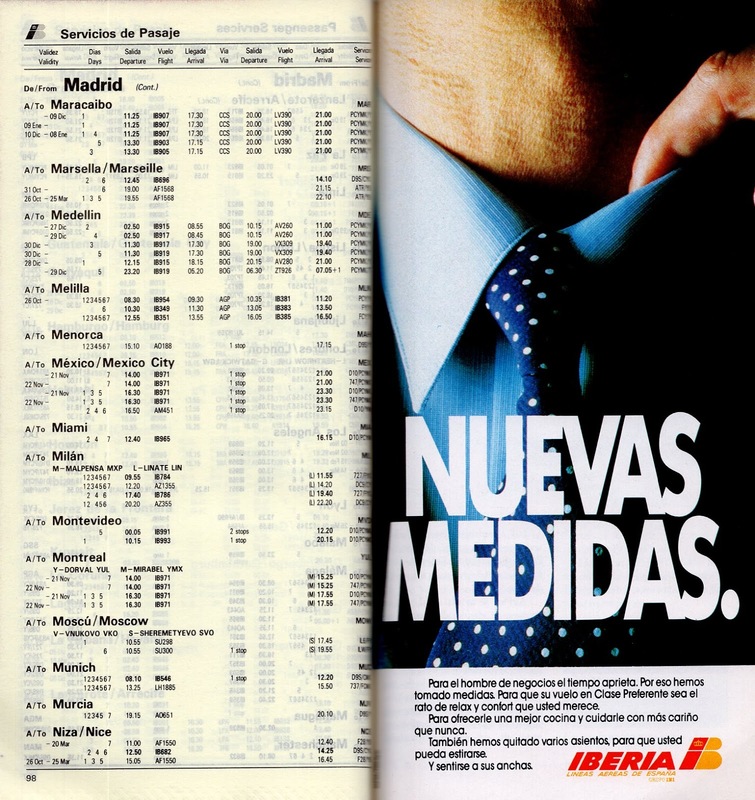 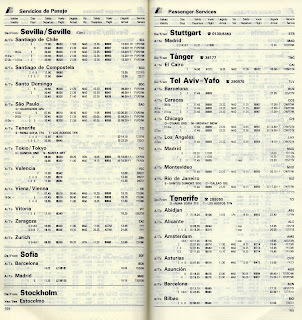 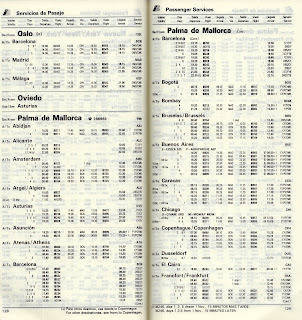 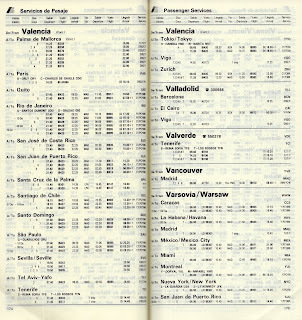 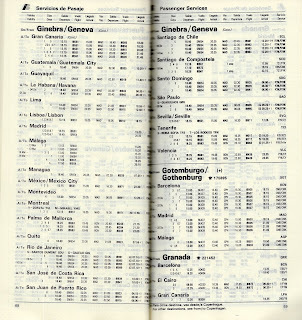 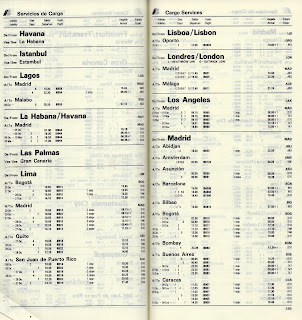 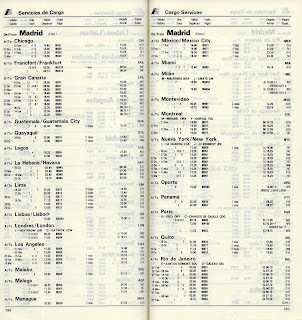 This will be another longish post, since I've included all Spanish airports listed in this Iberia schedules booklet. I hope I hadn't missed any of them. 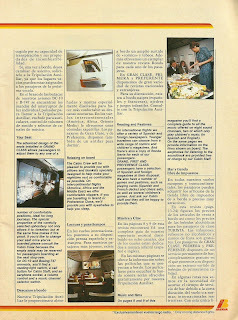 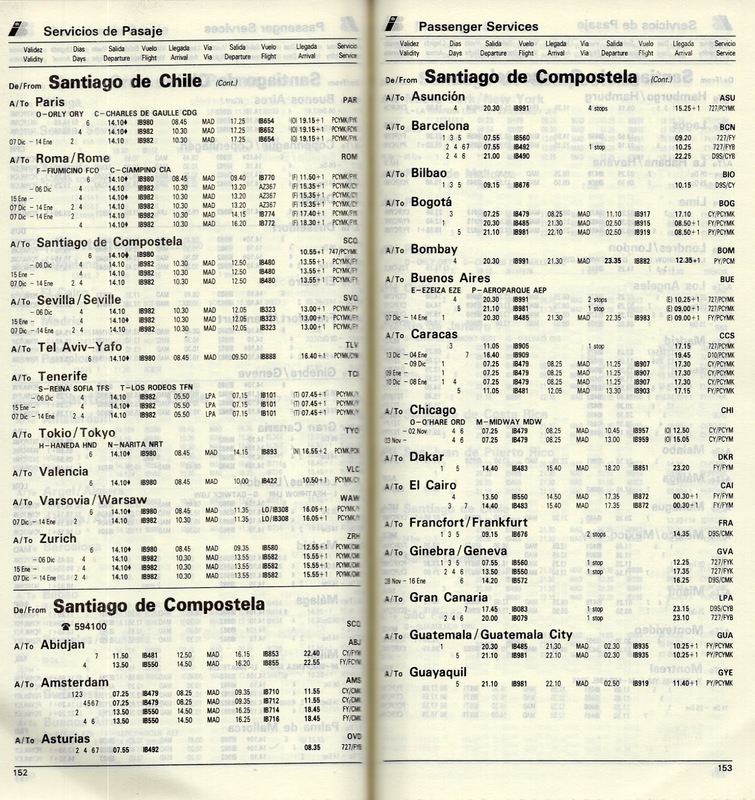 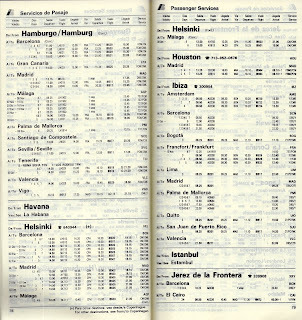 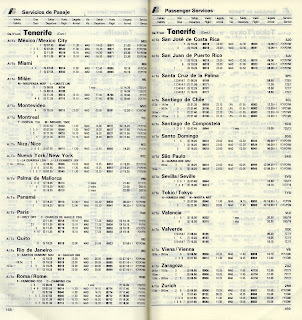 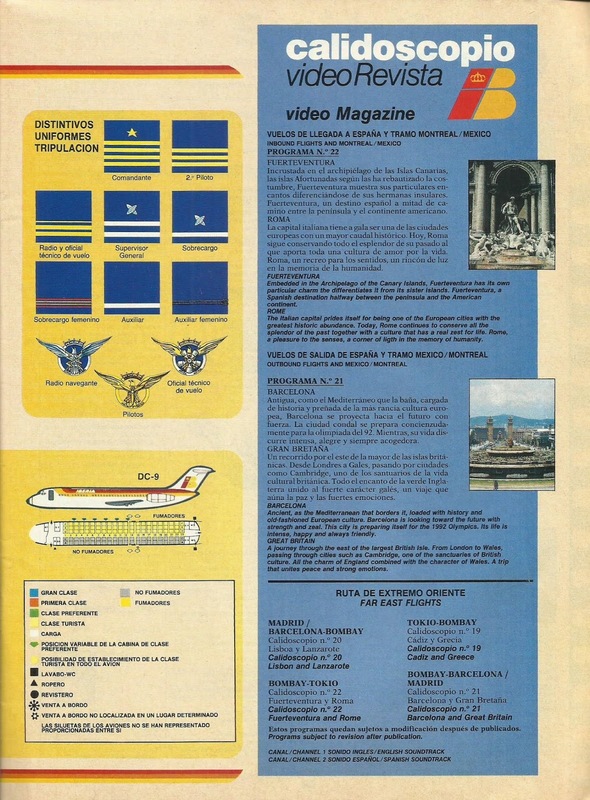 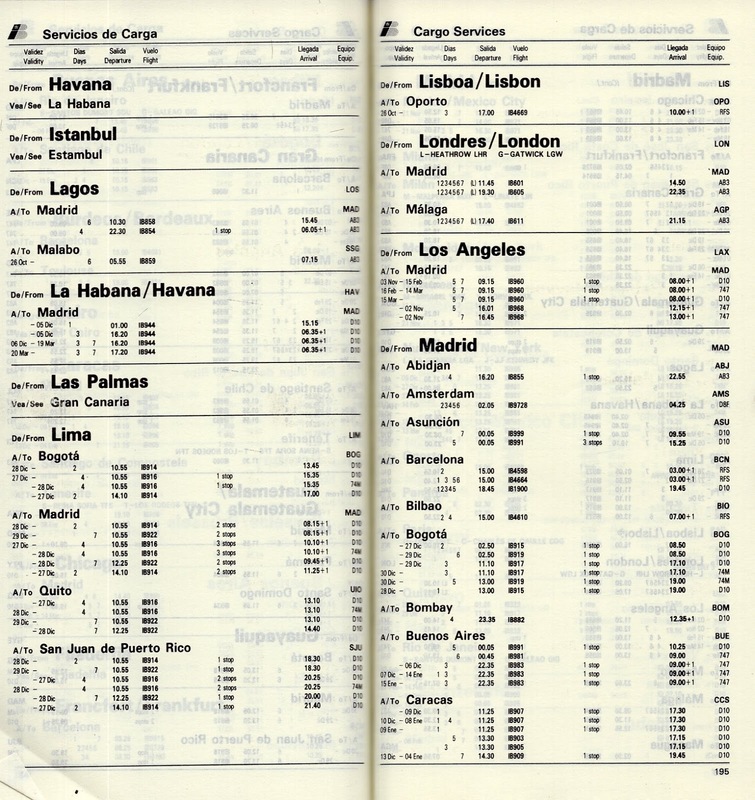 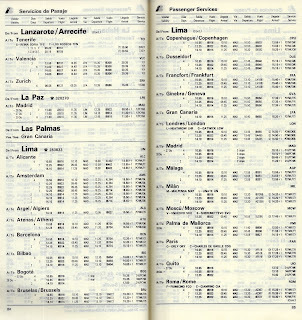 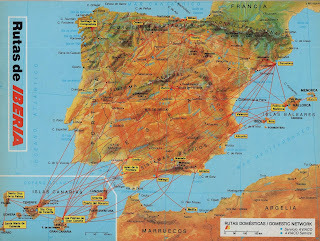 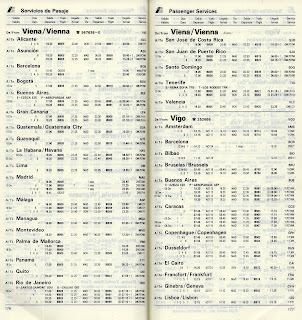 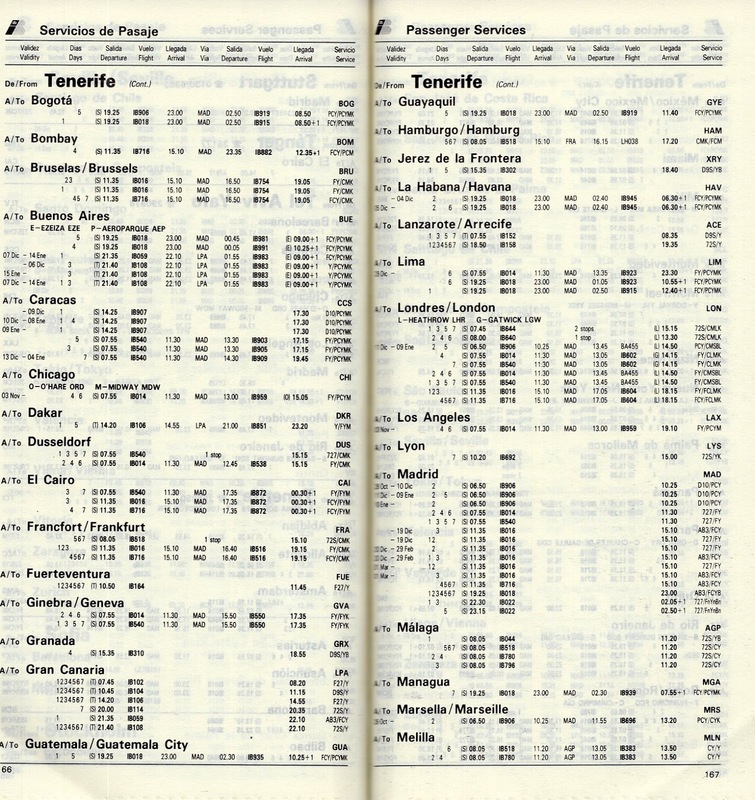 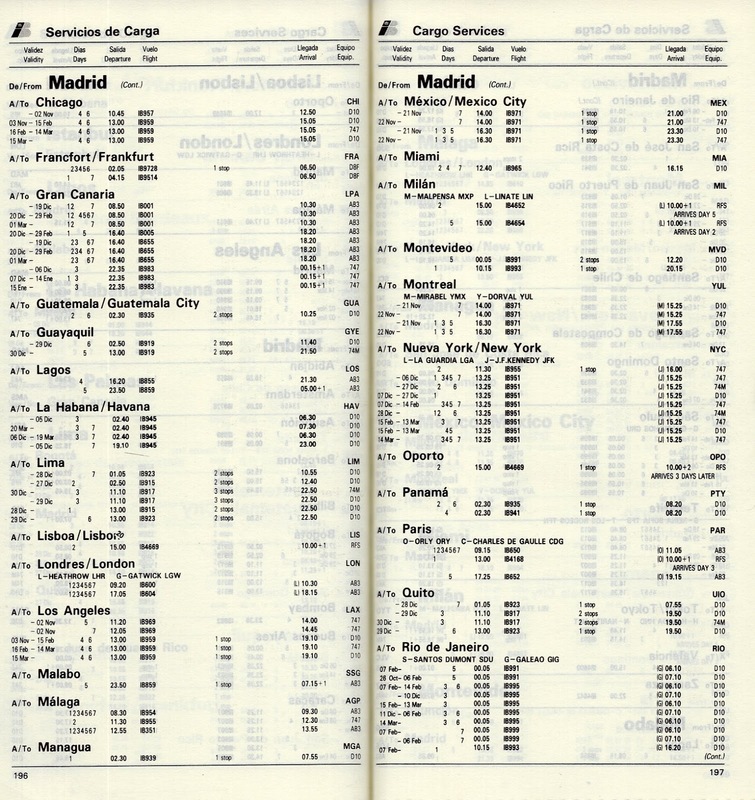 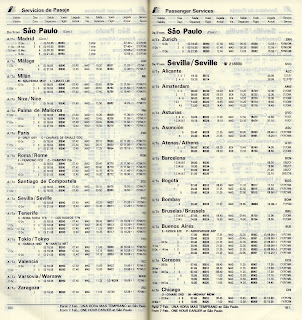 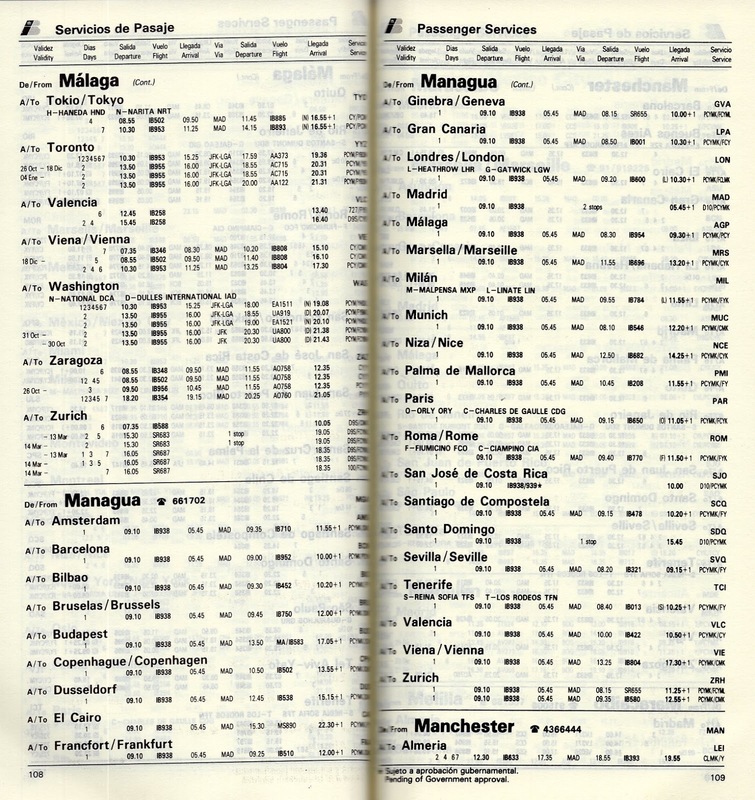 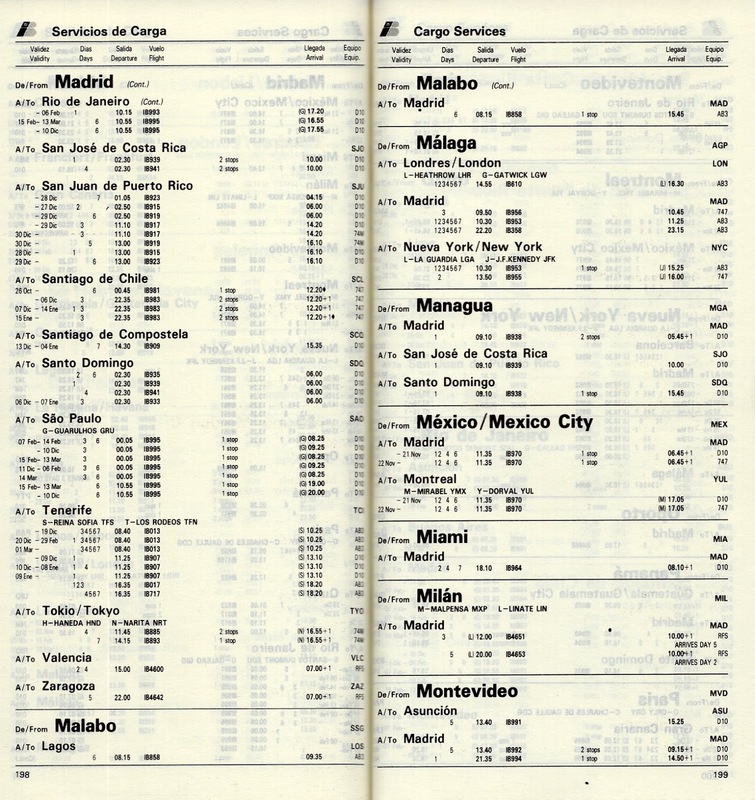 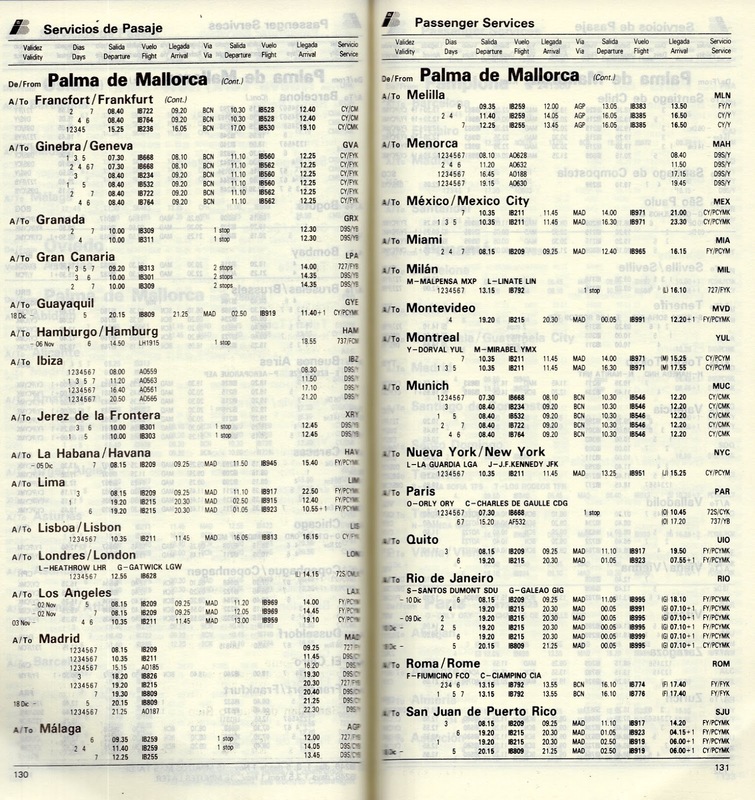 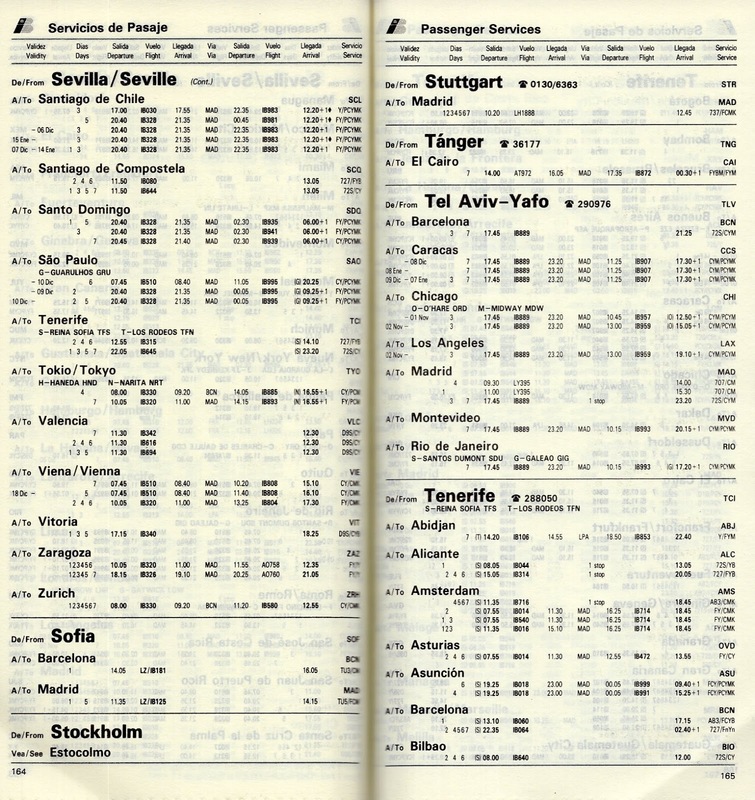 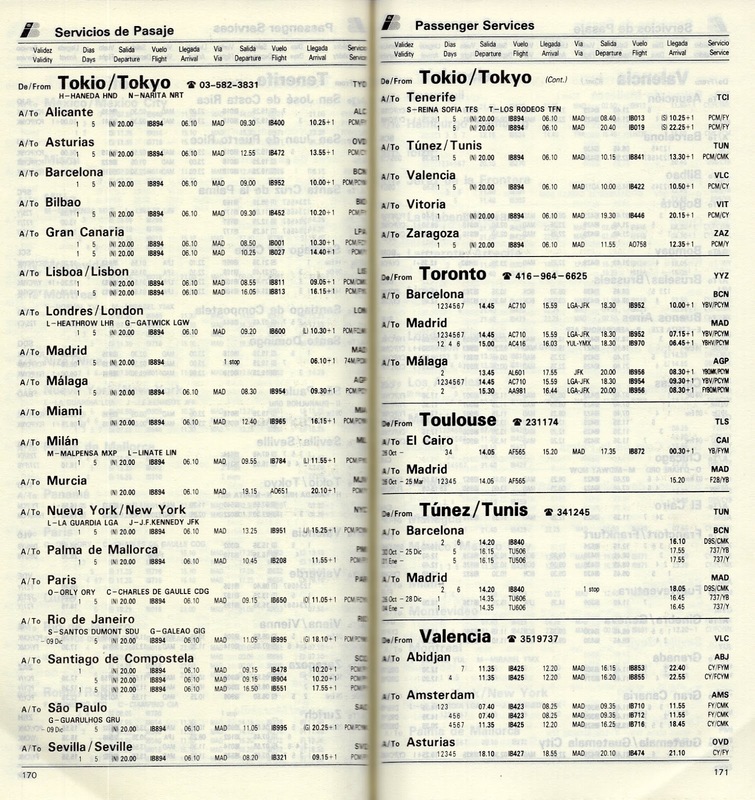 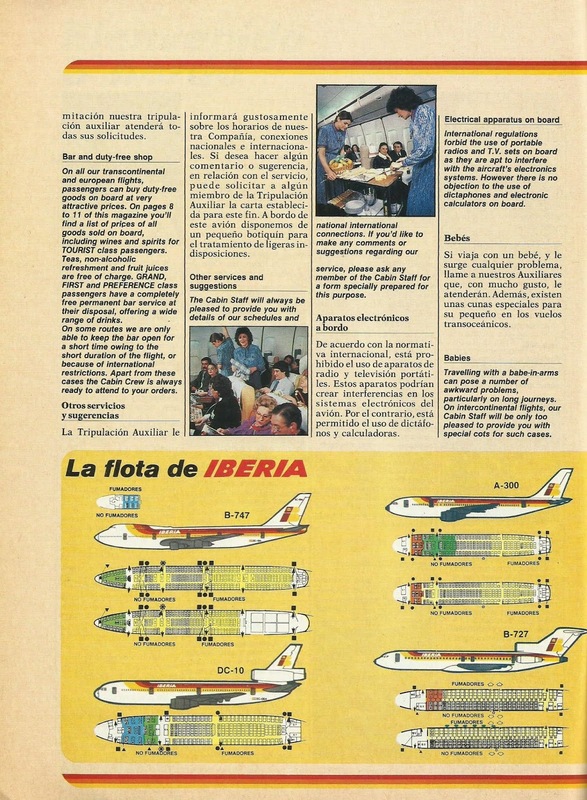 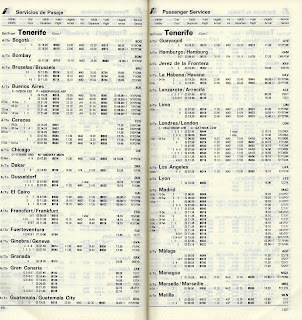 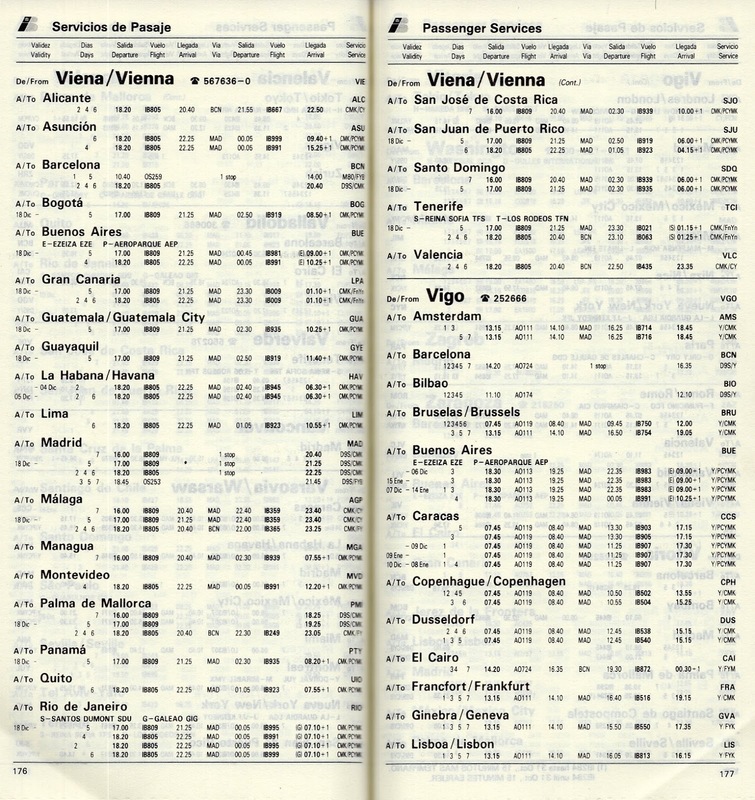 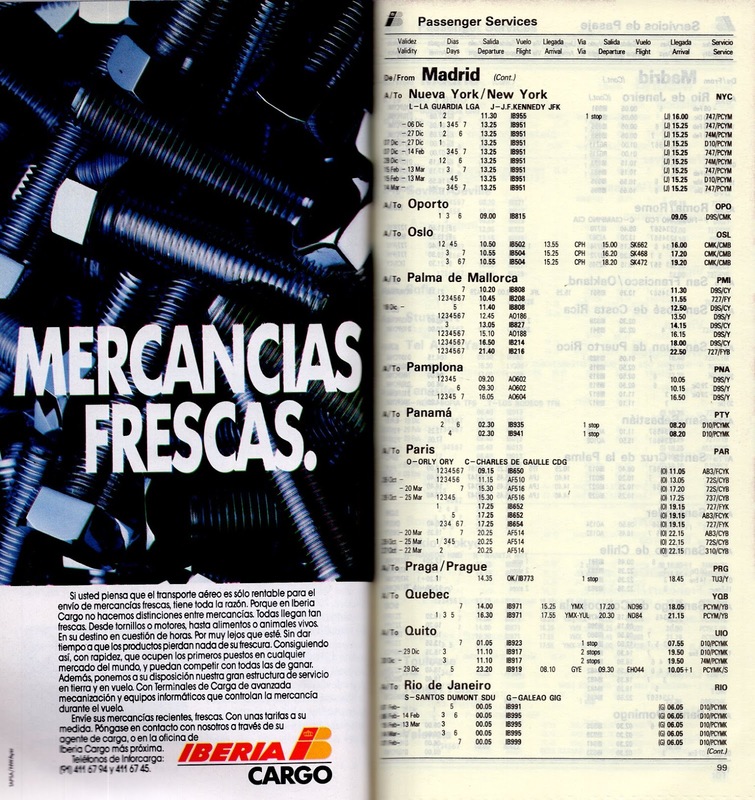 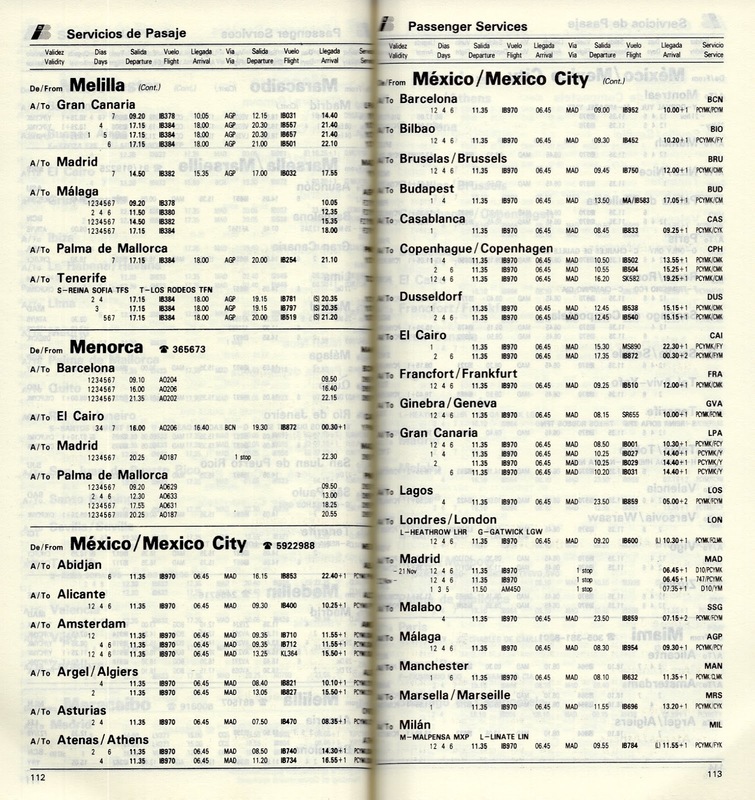 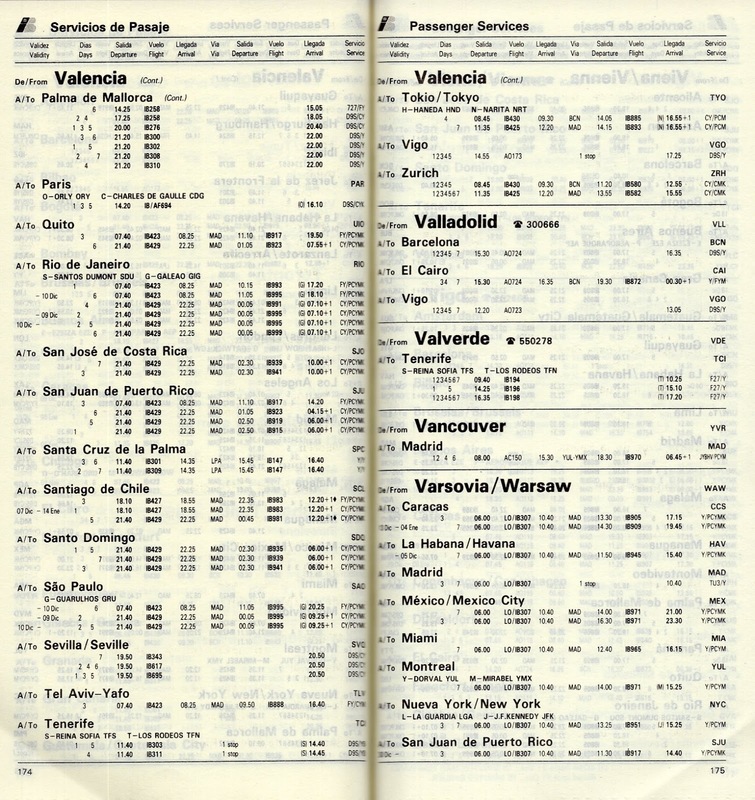 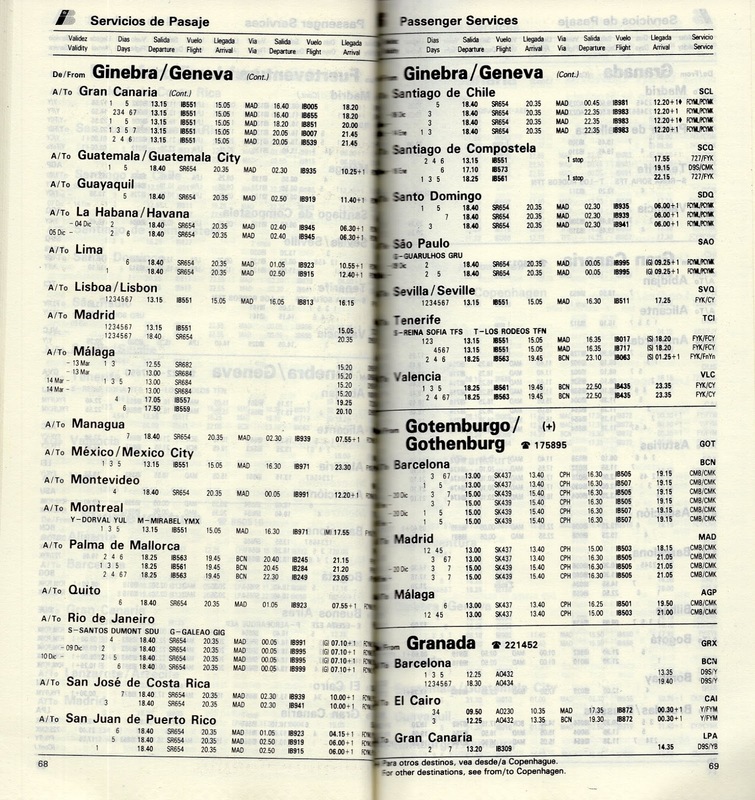 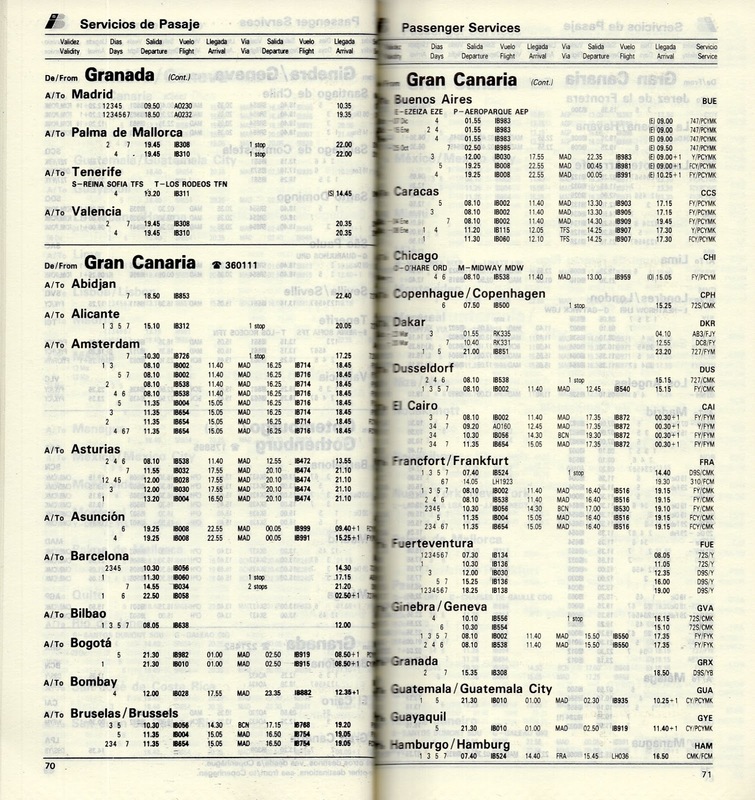 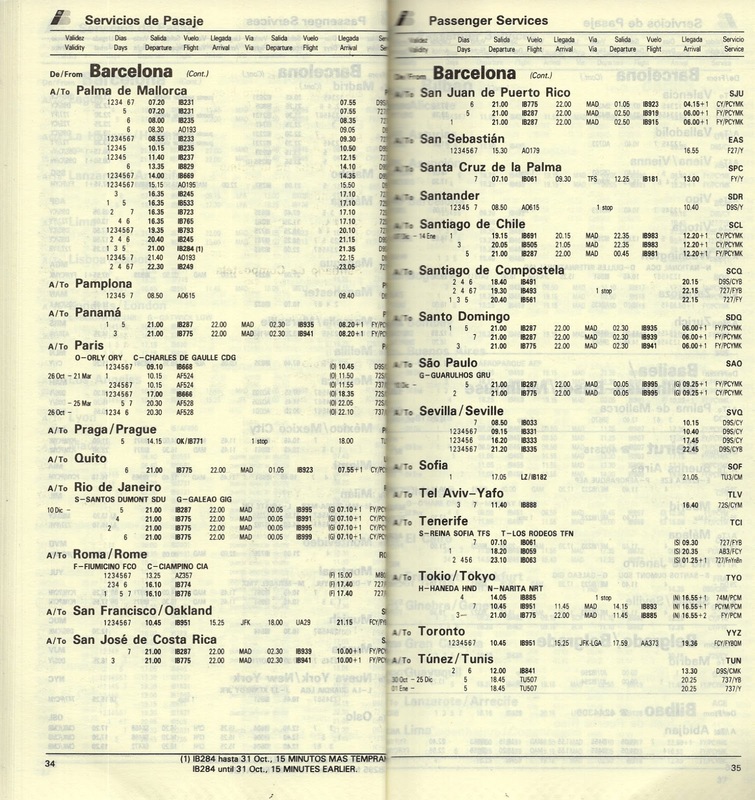 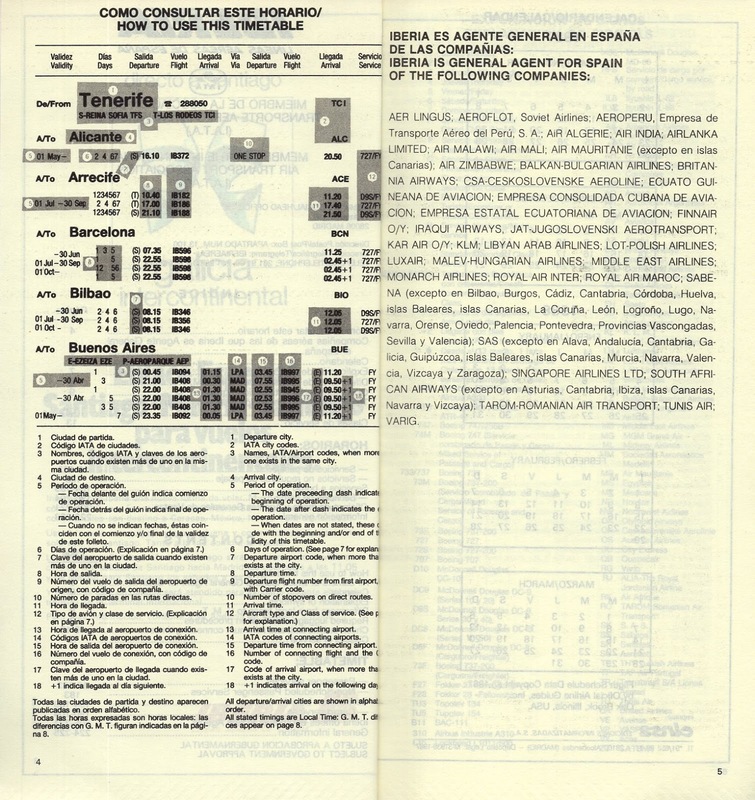 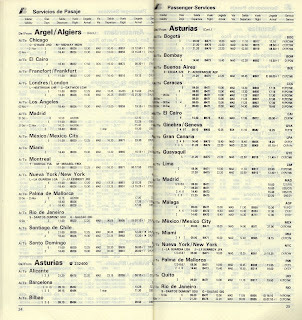 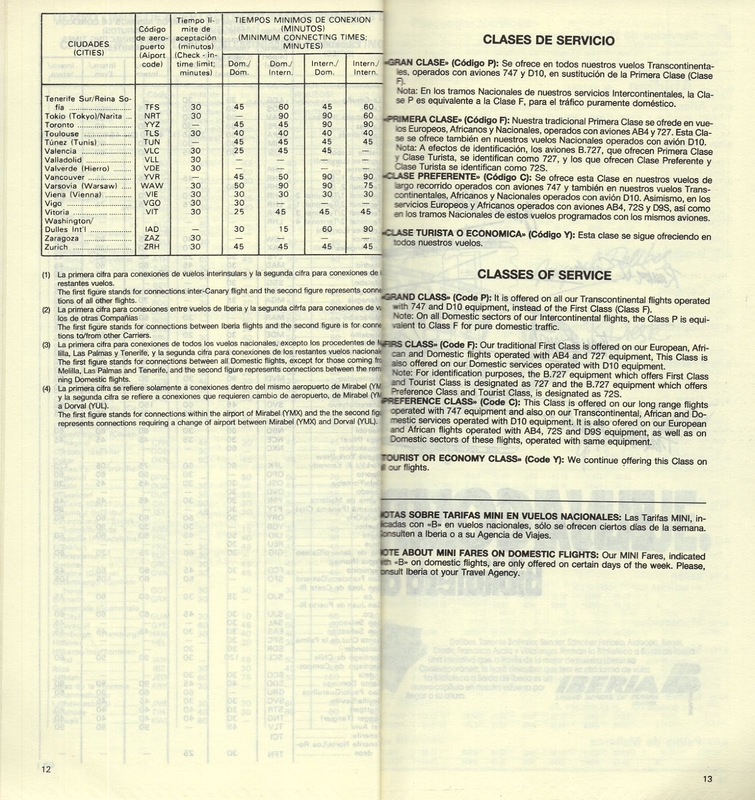 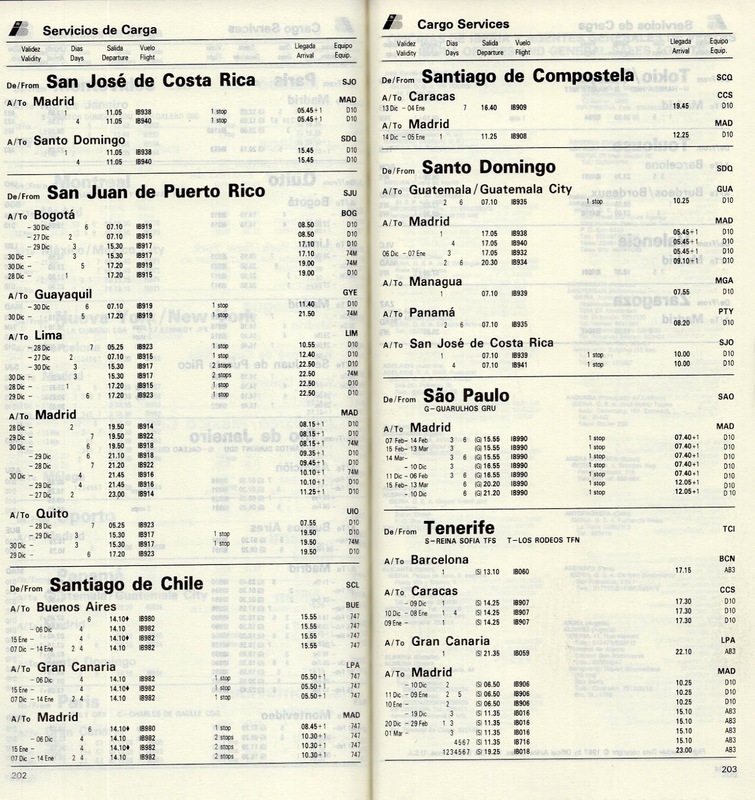 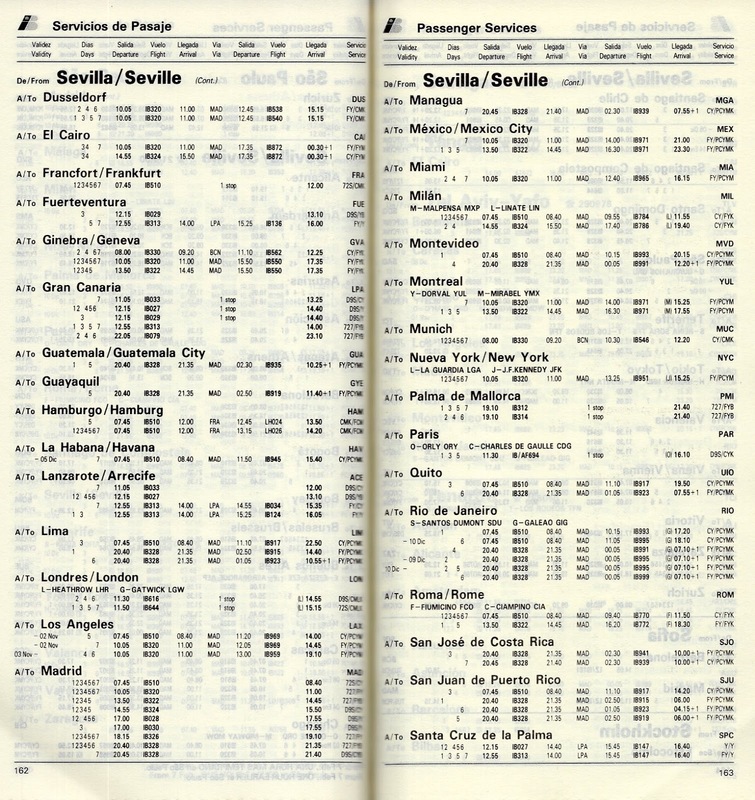 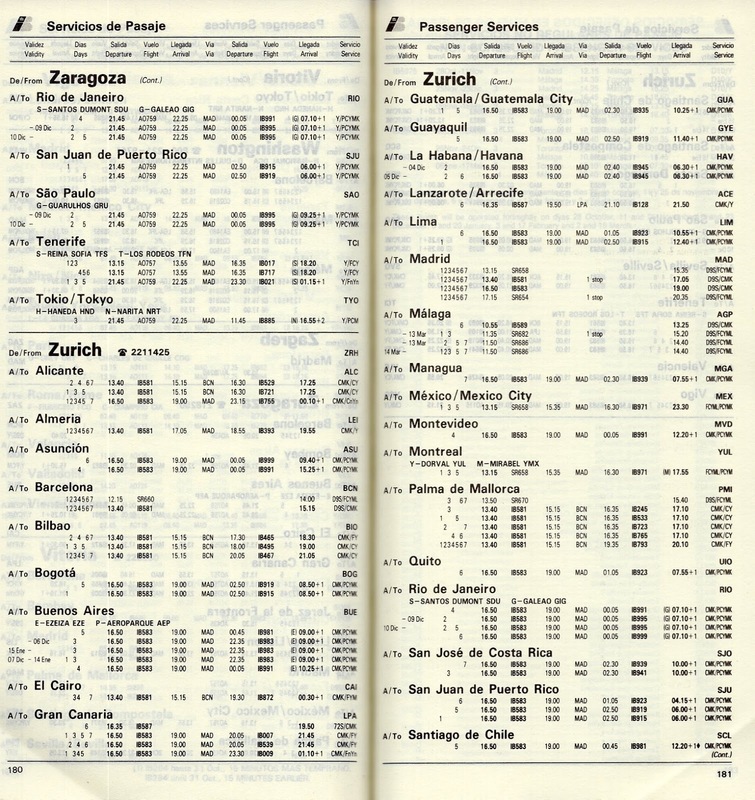 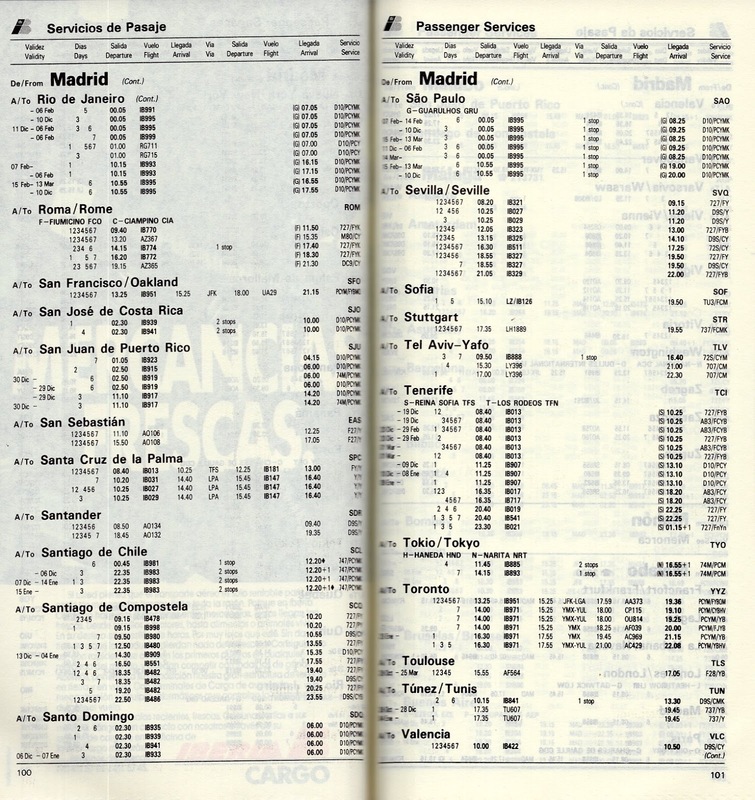 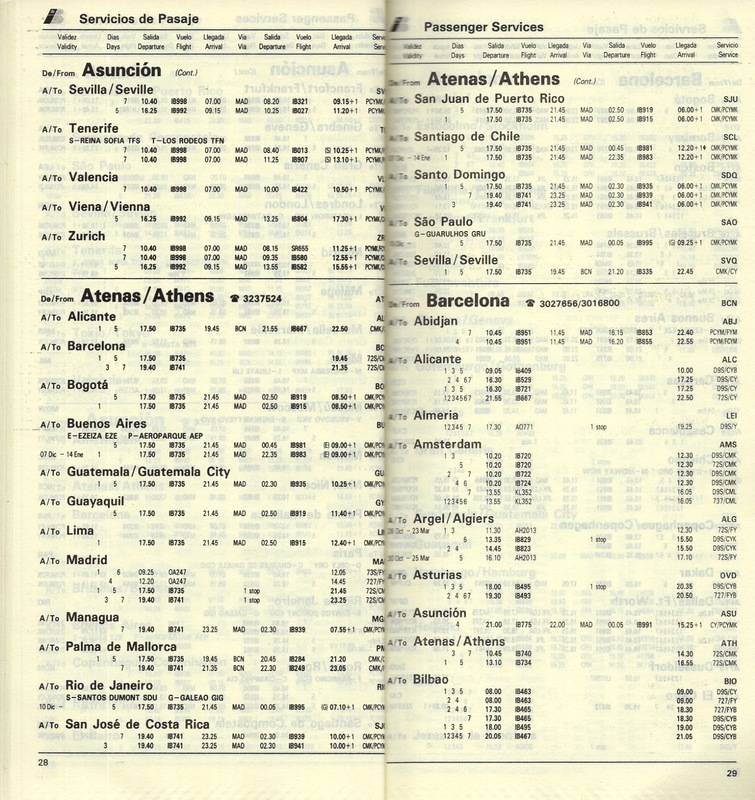 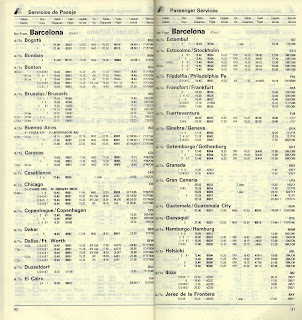 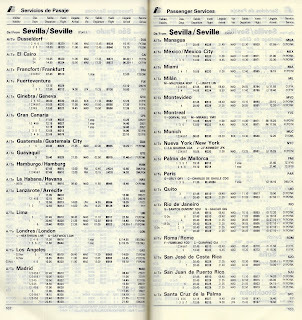 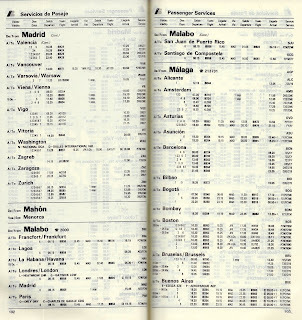 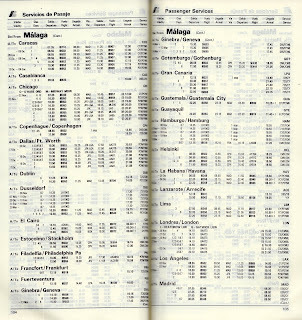 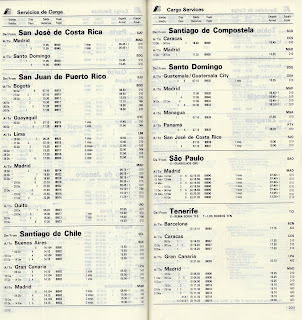 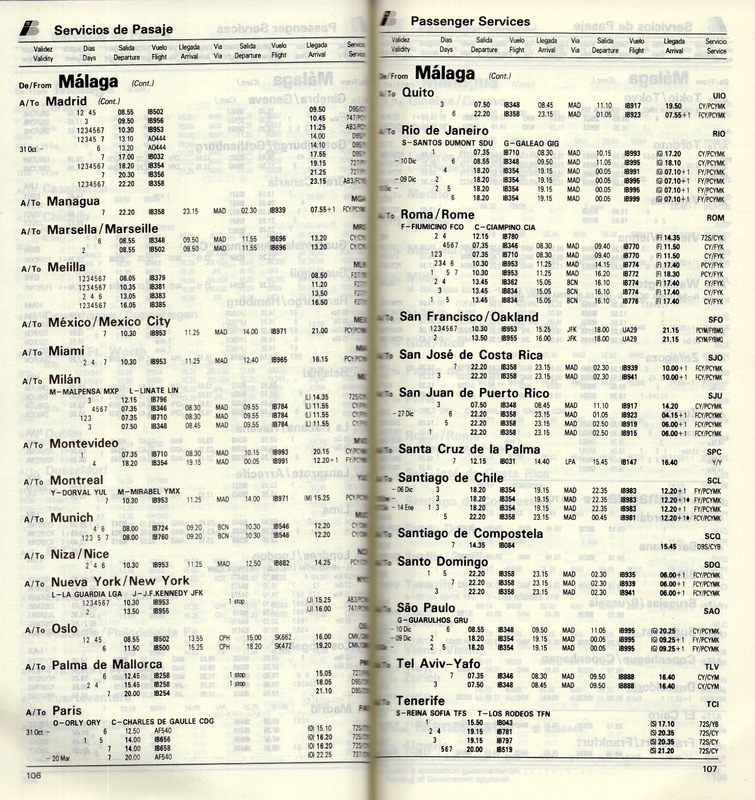 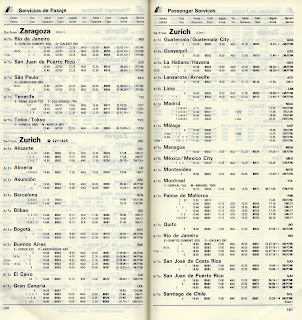 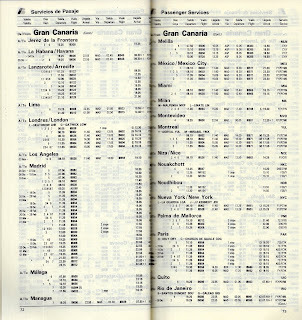 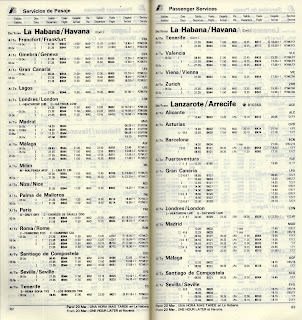 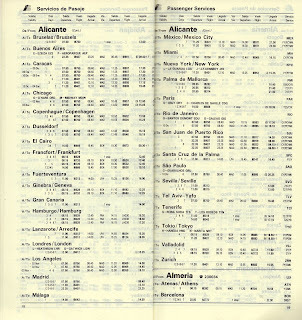 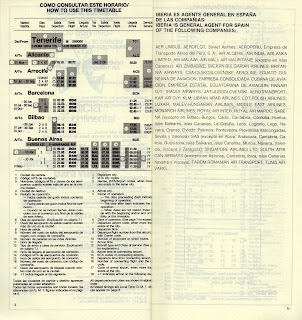 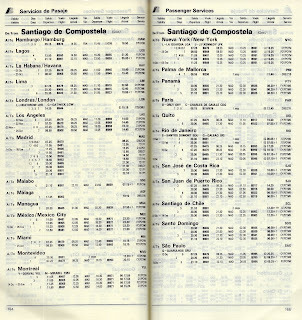 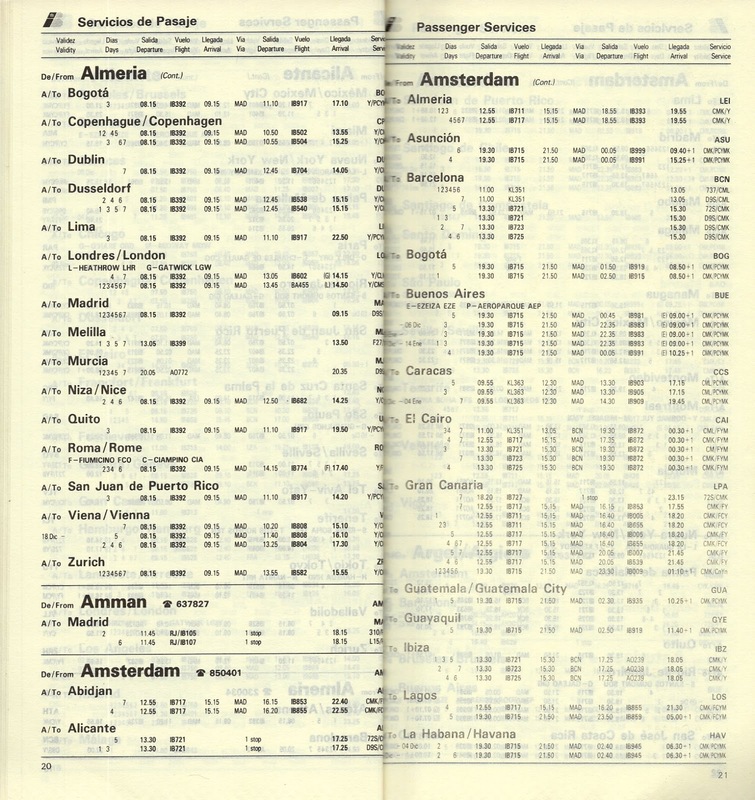 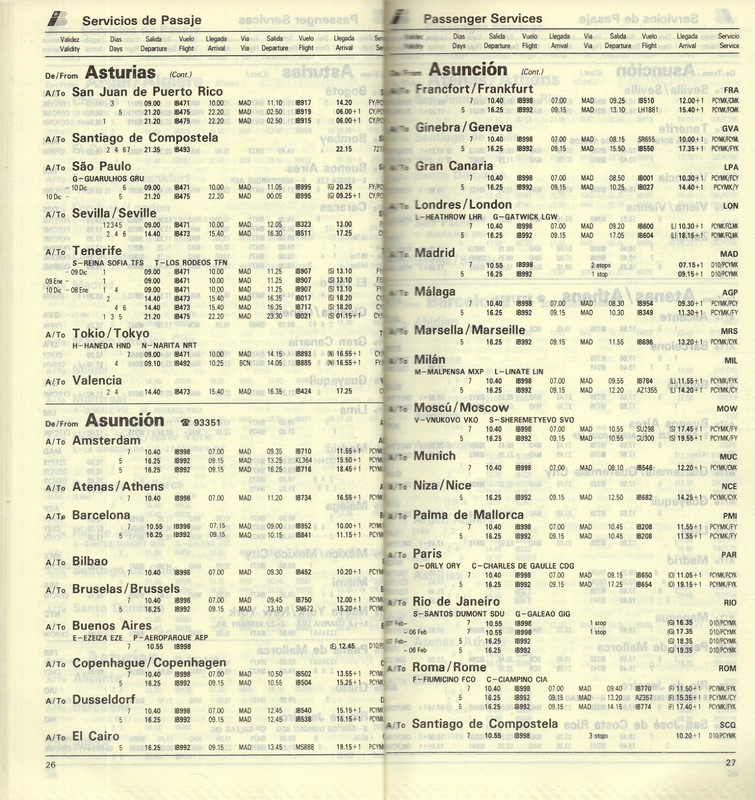 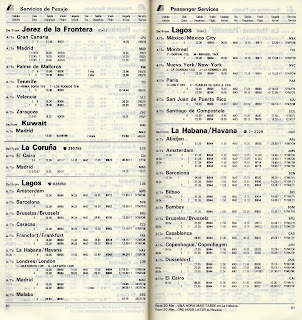 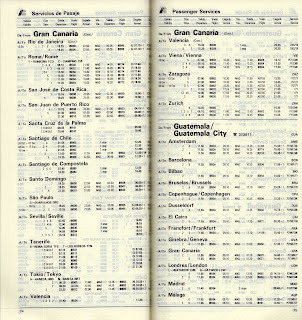 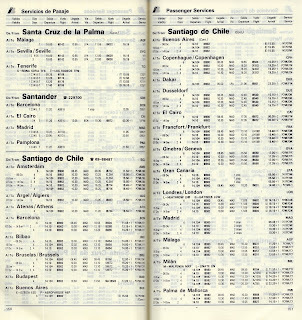 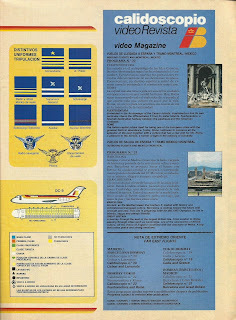 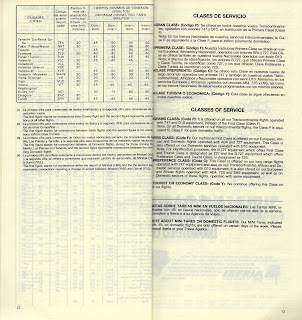 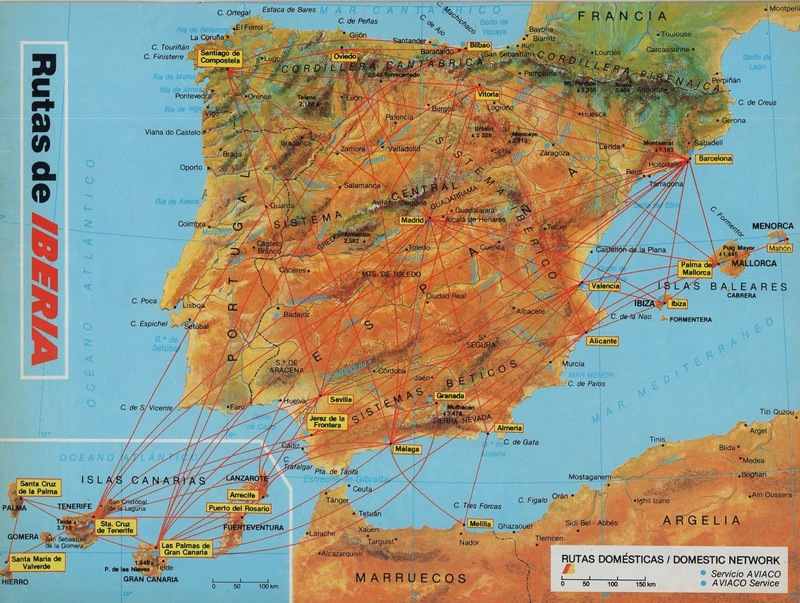 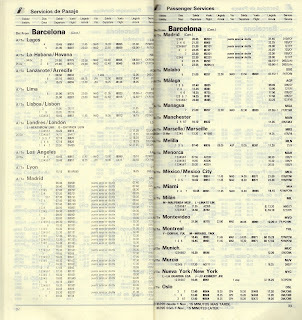 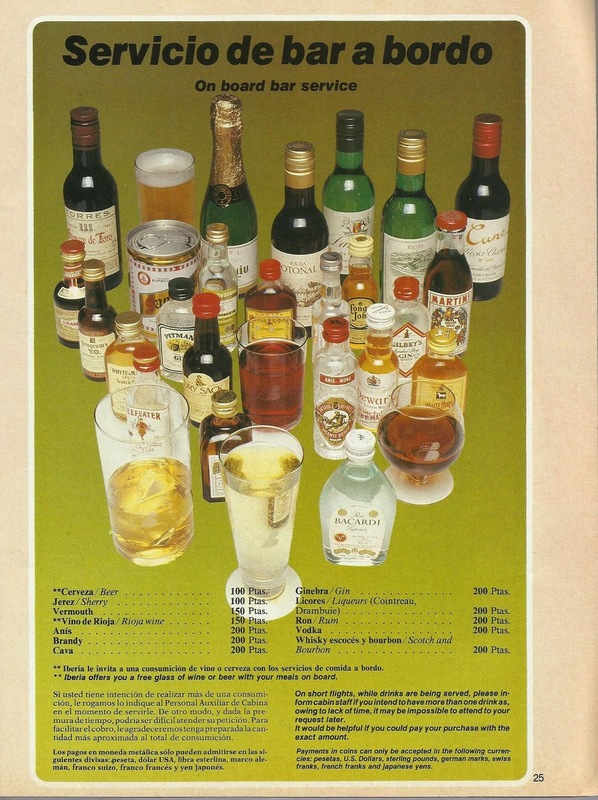 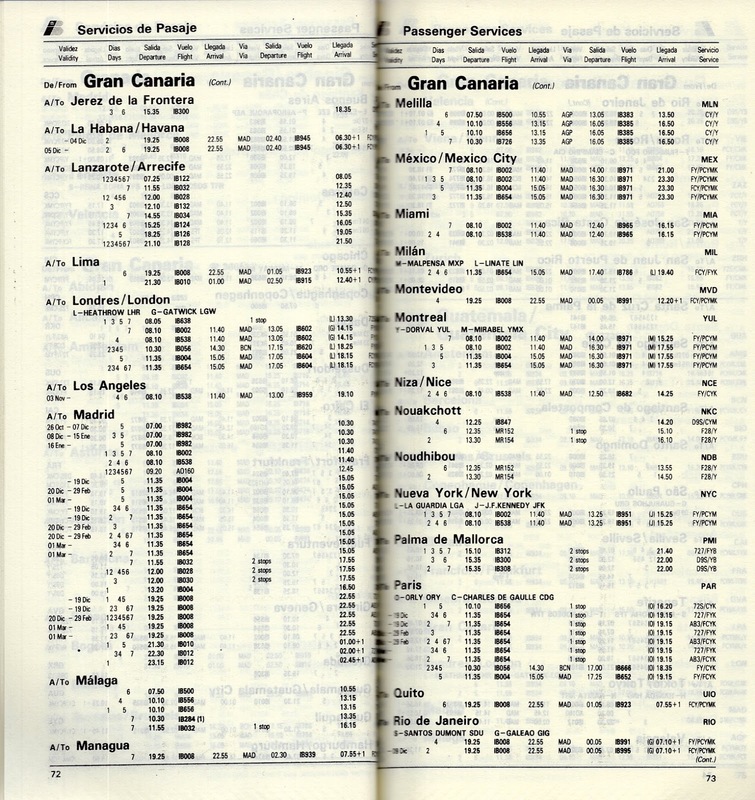 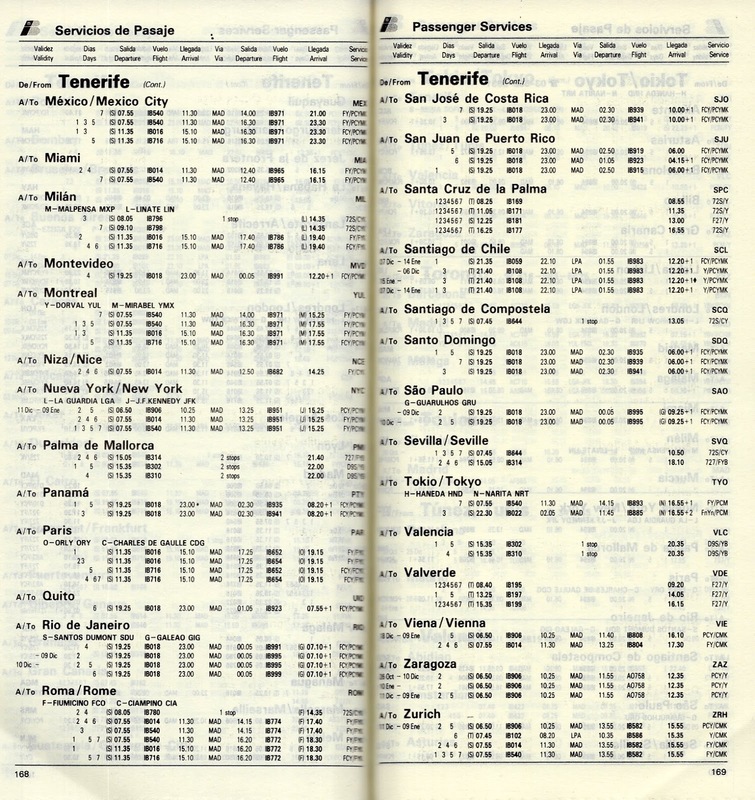 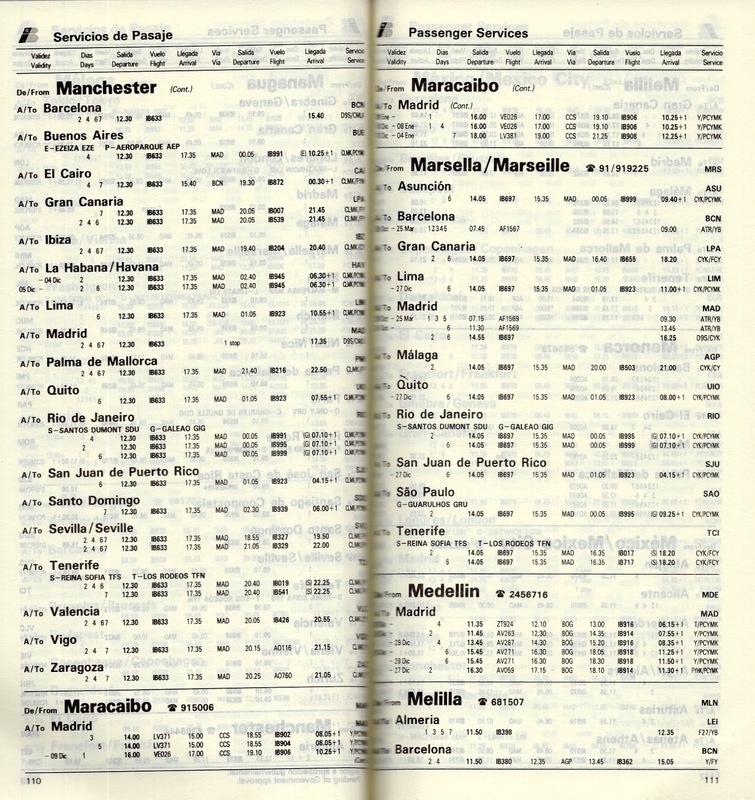 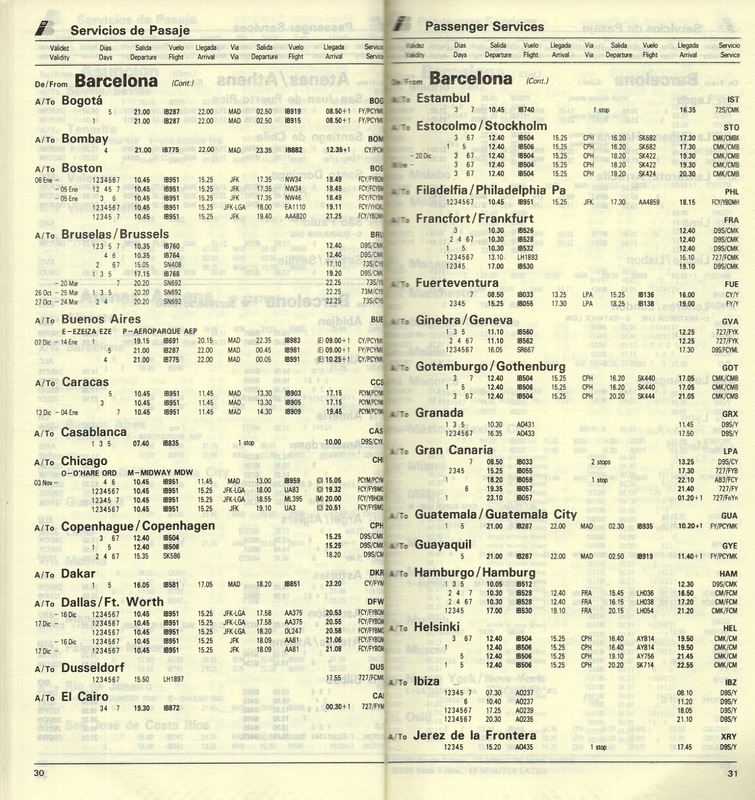 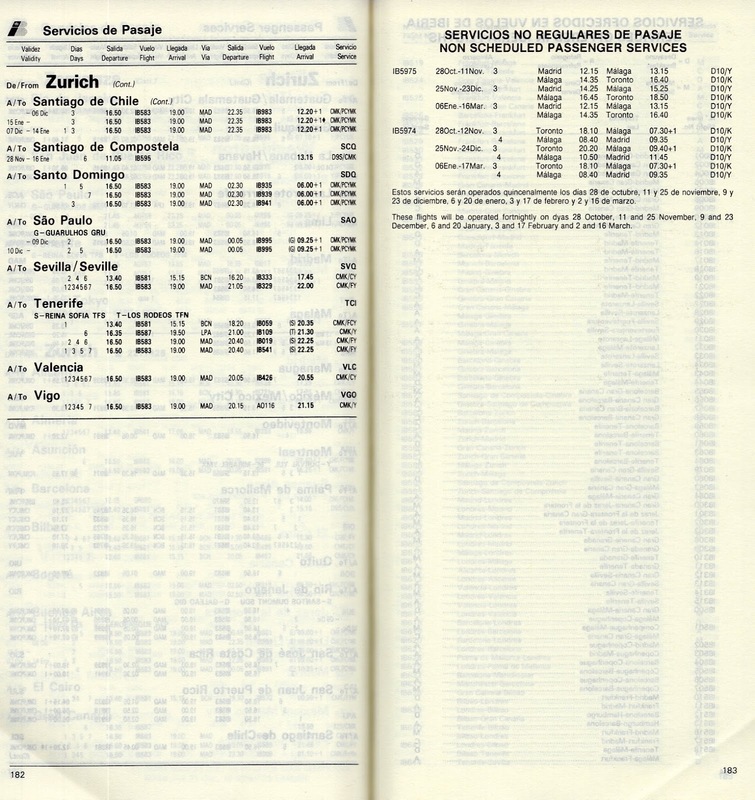 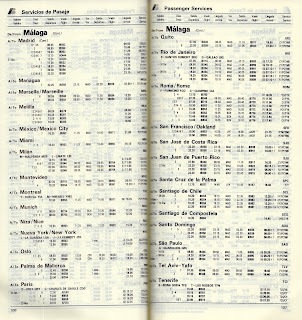 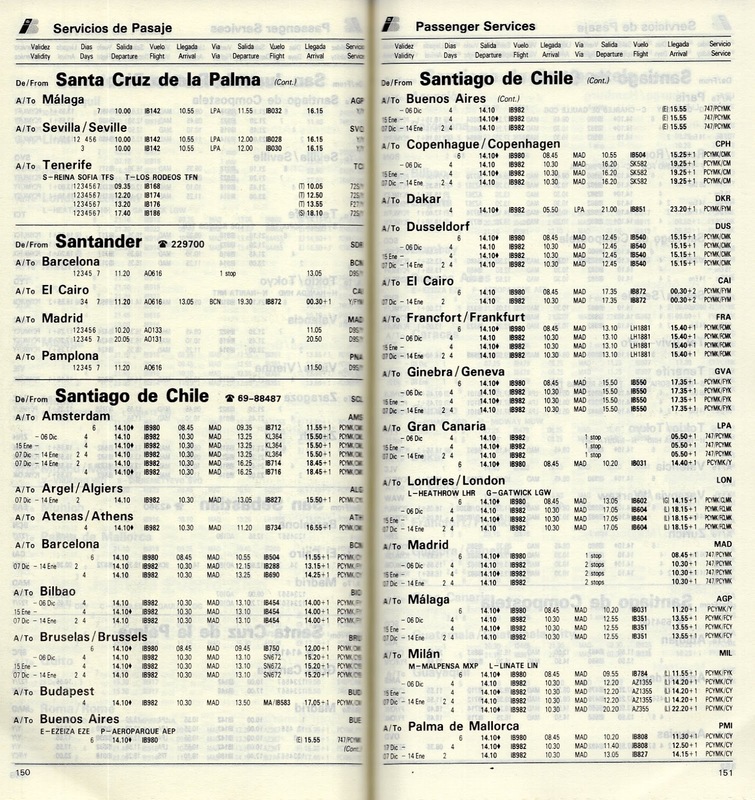 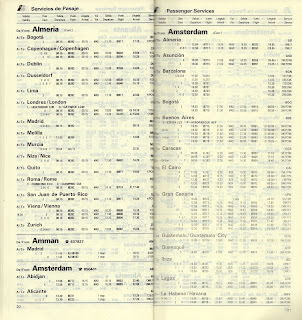 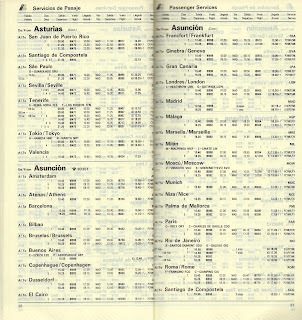 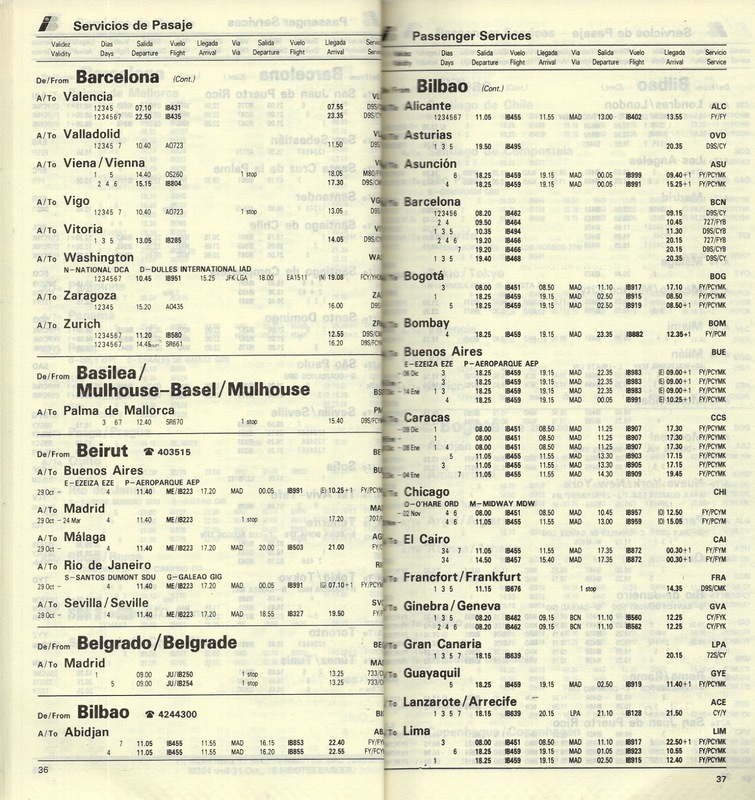 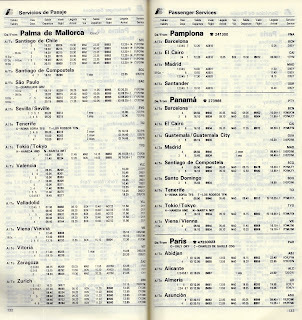 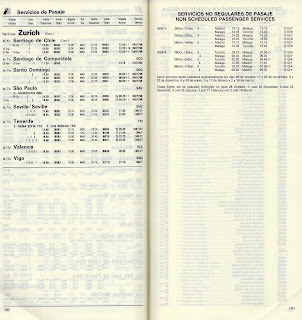 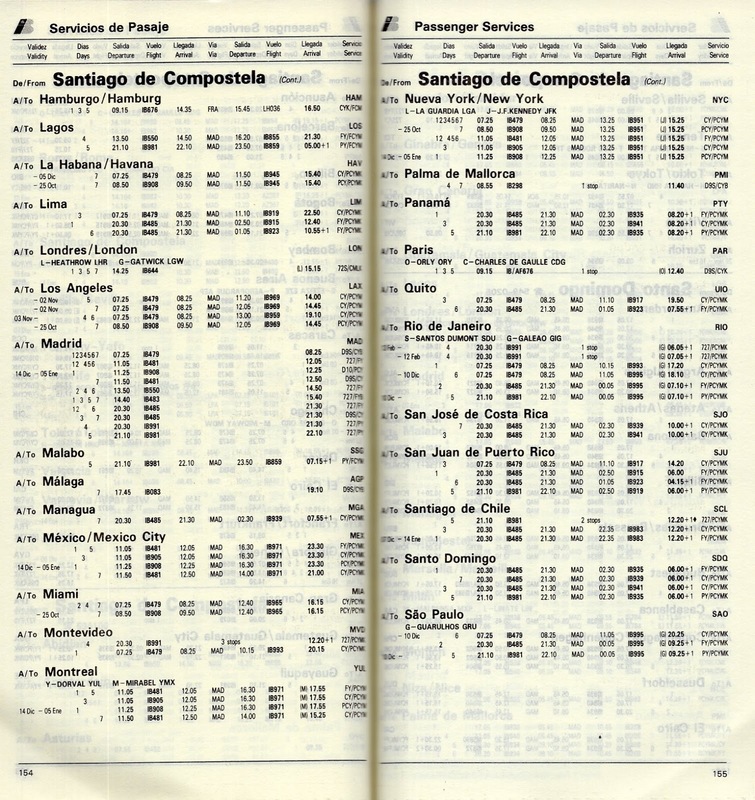 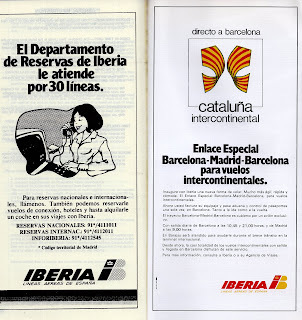 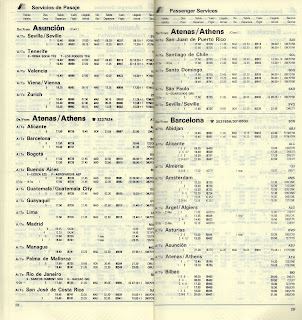 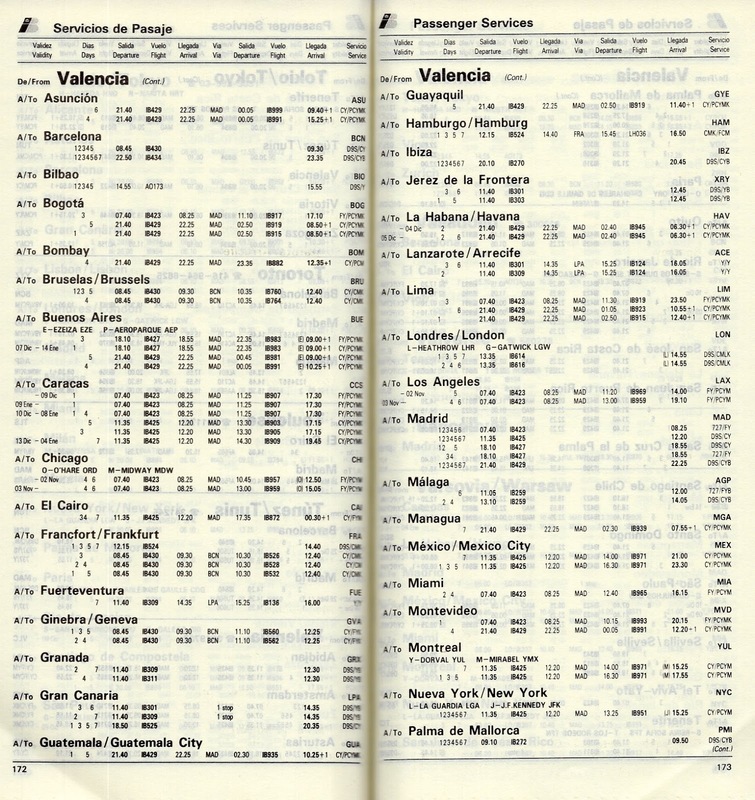 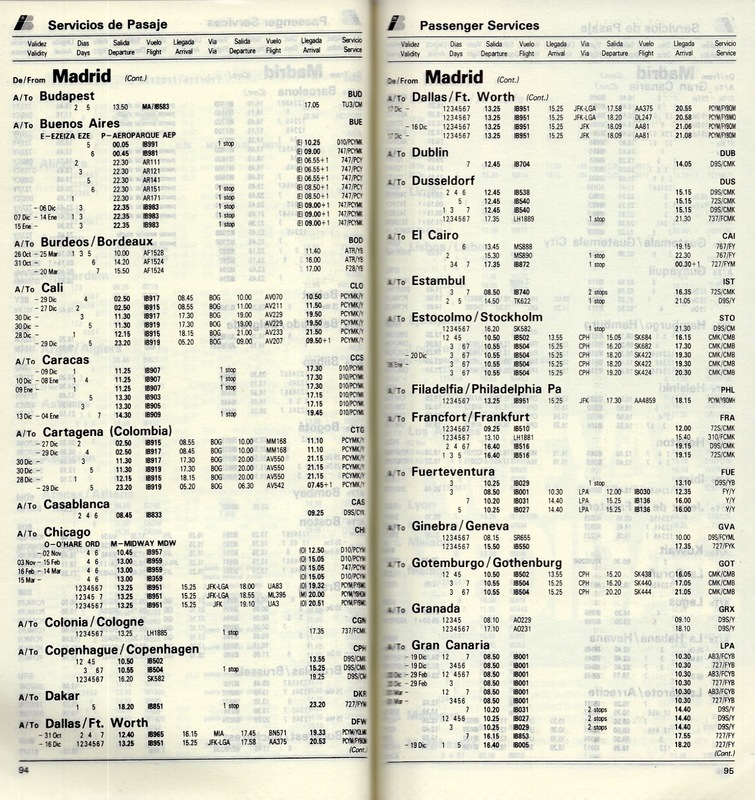 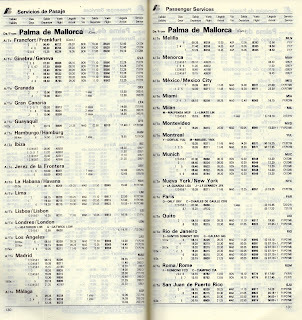 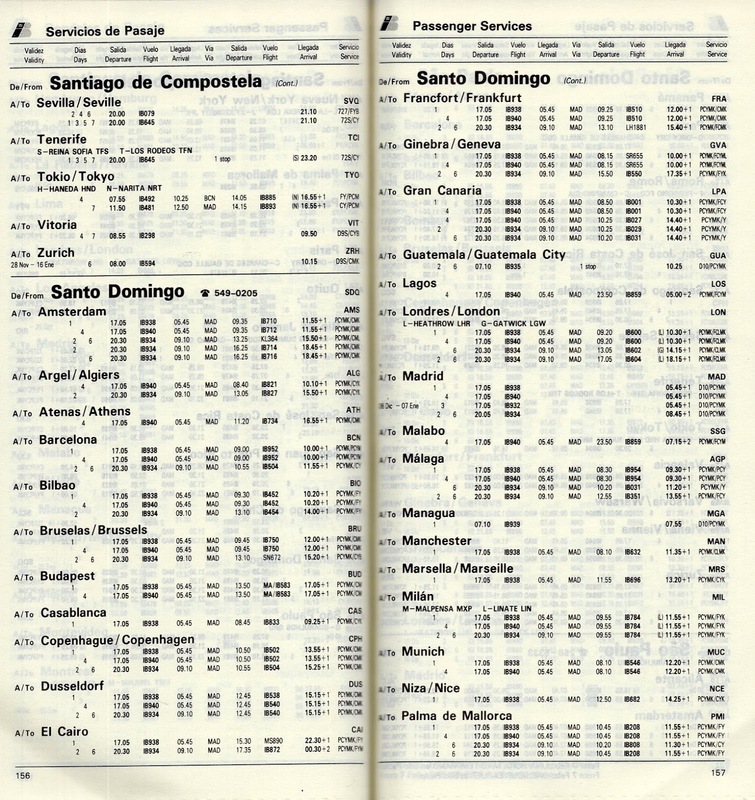 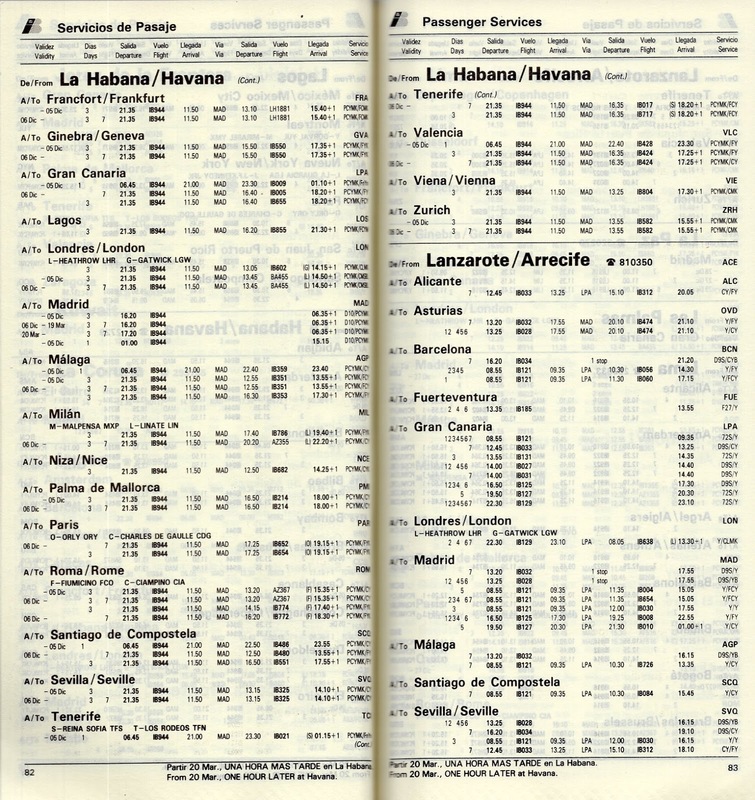 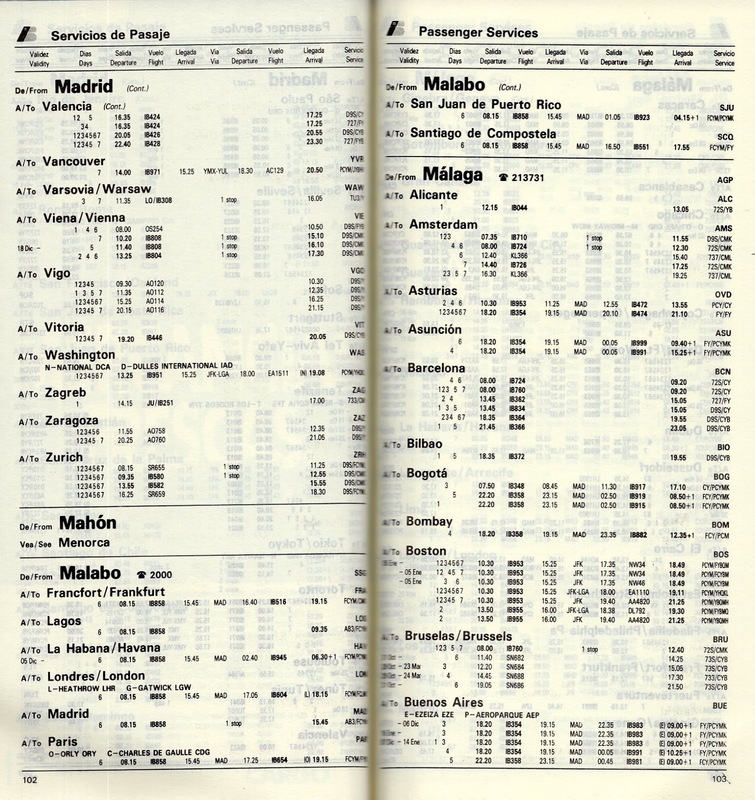 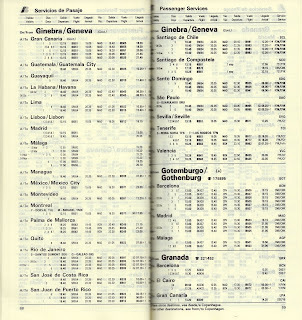 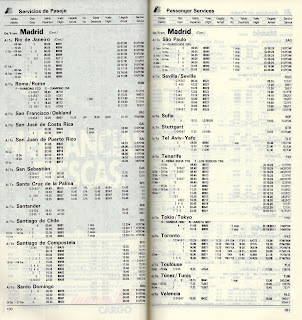 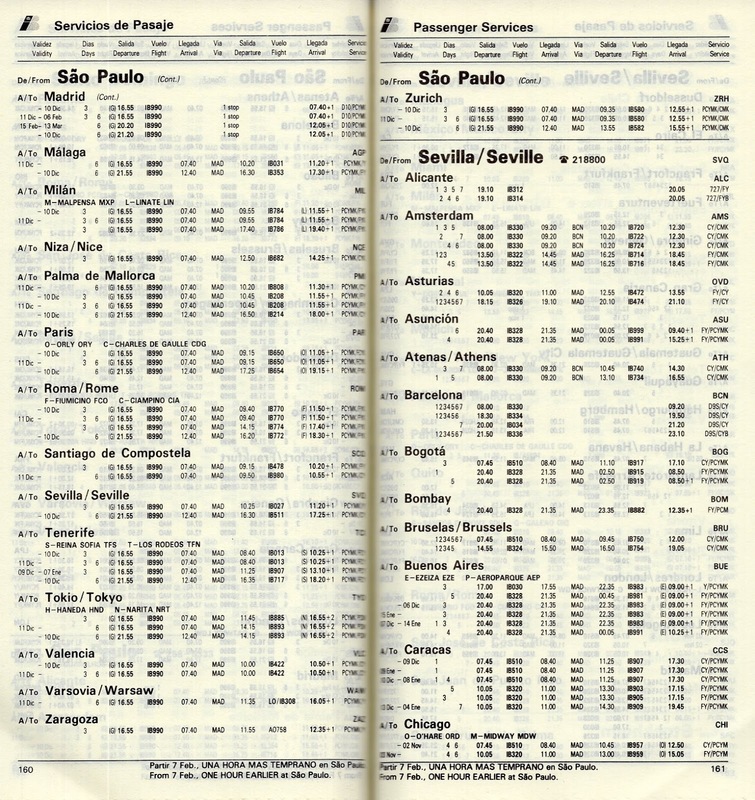 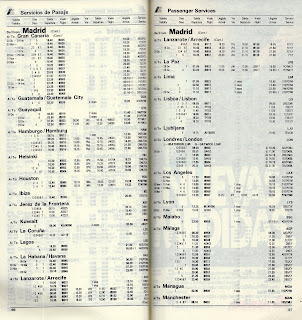 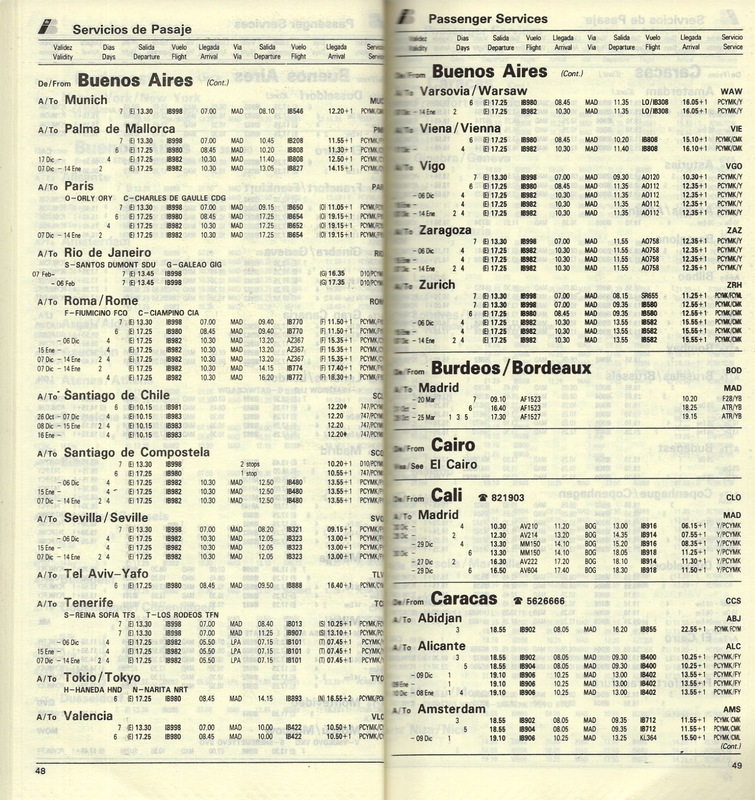 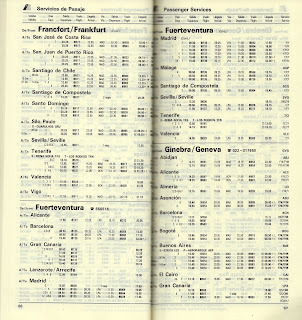 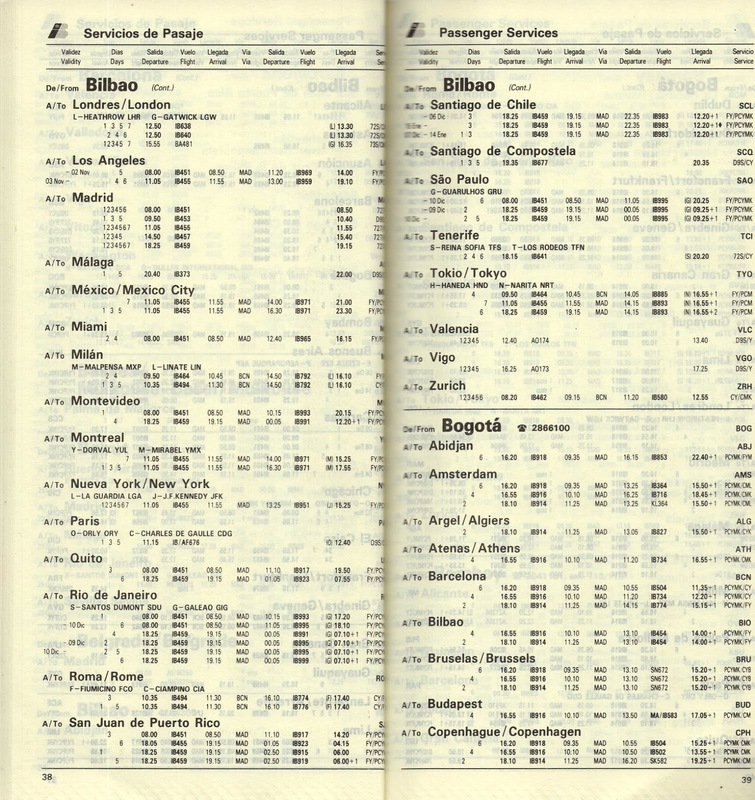 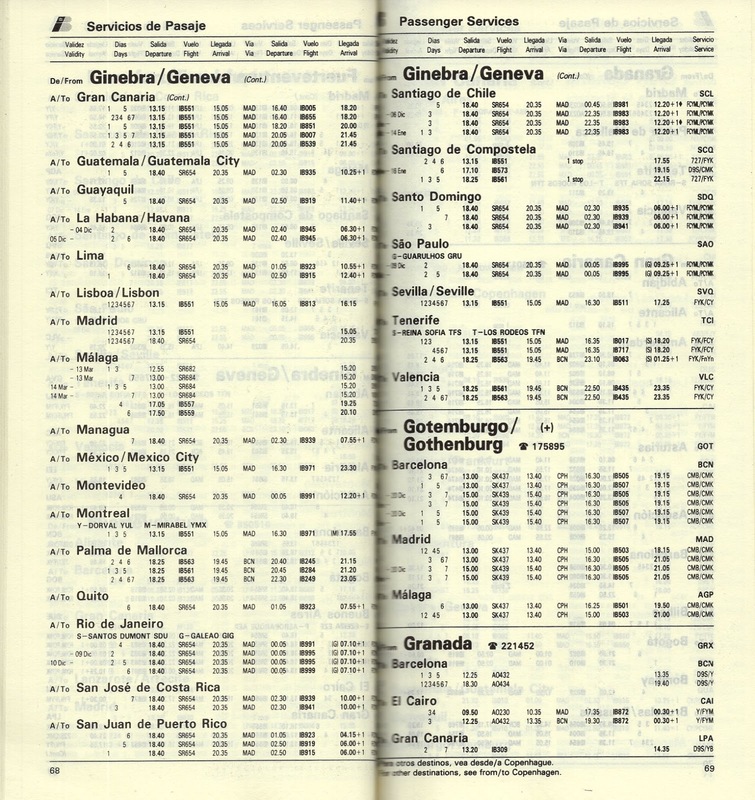 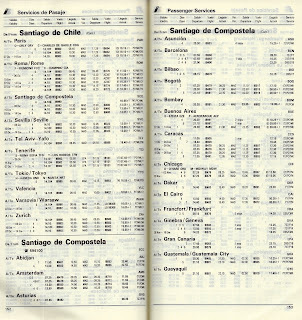 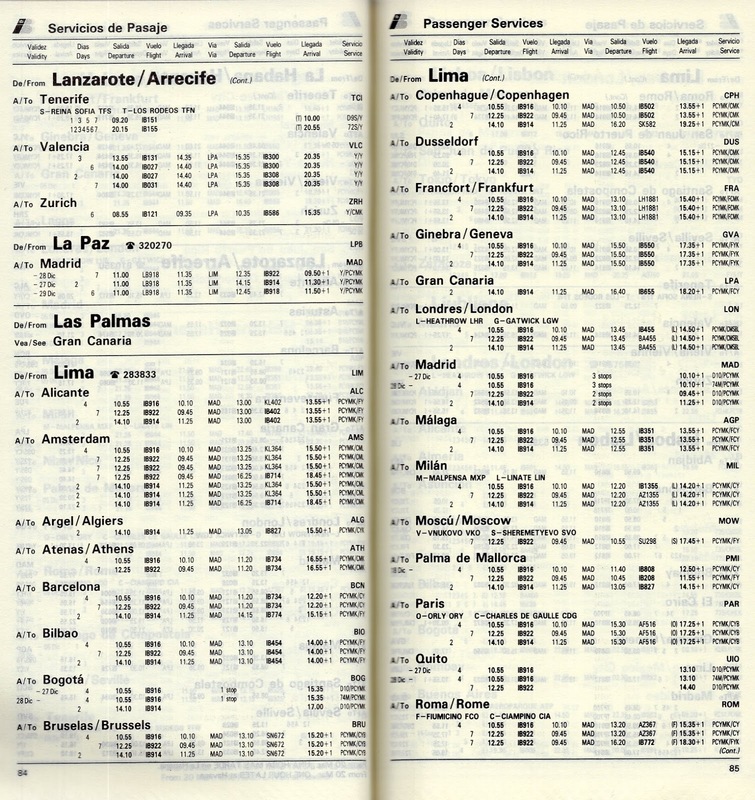 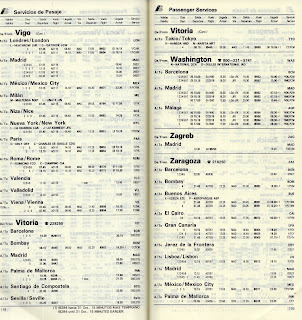 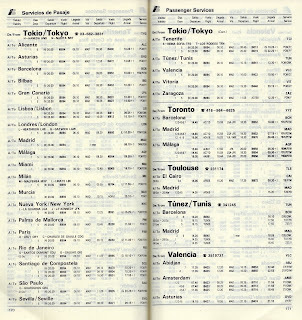 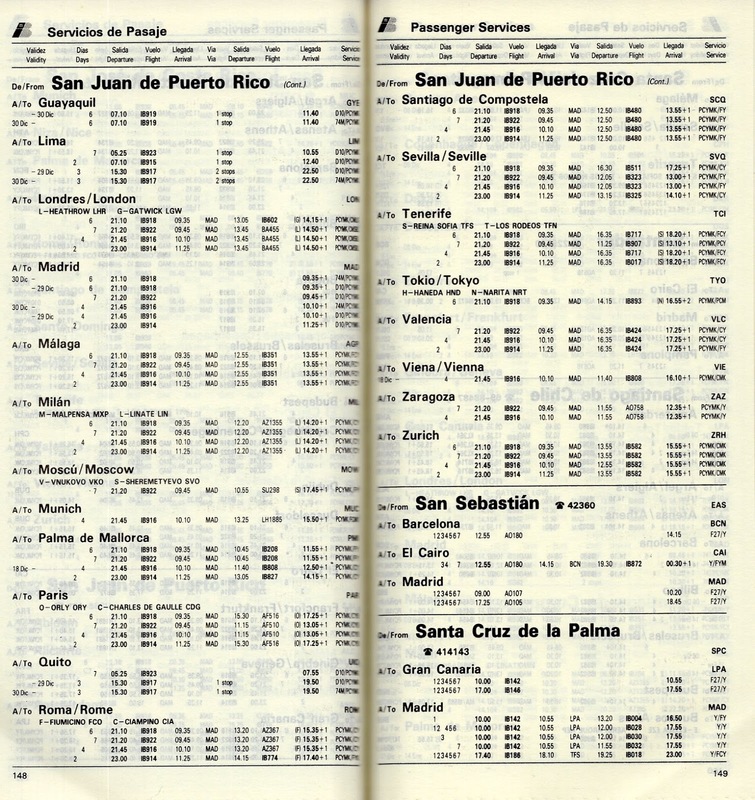 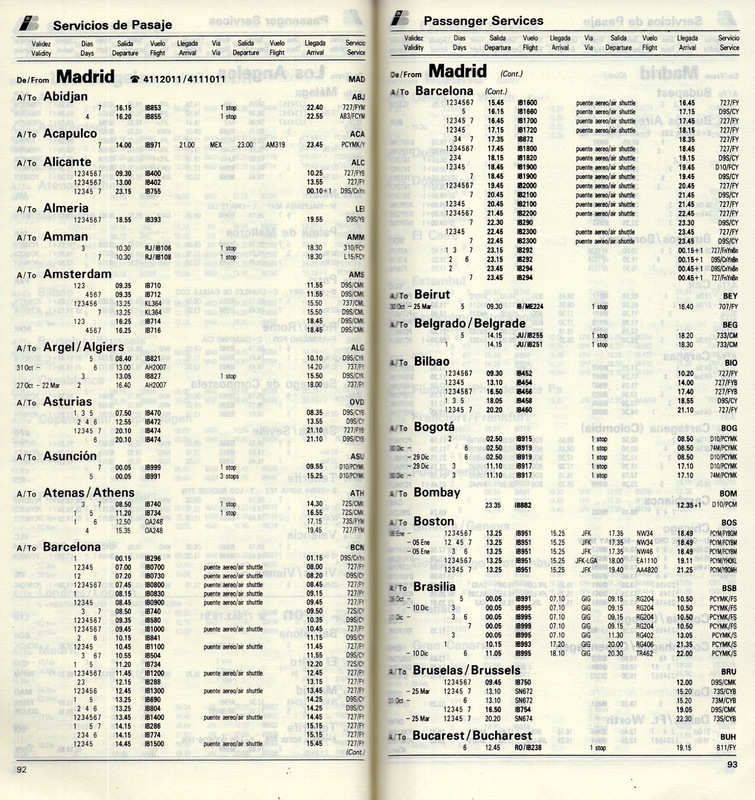 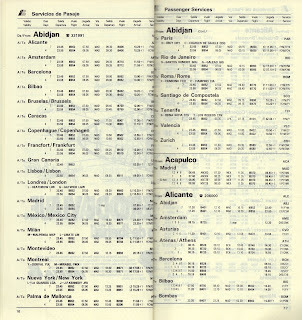 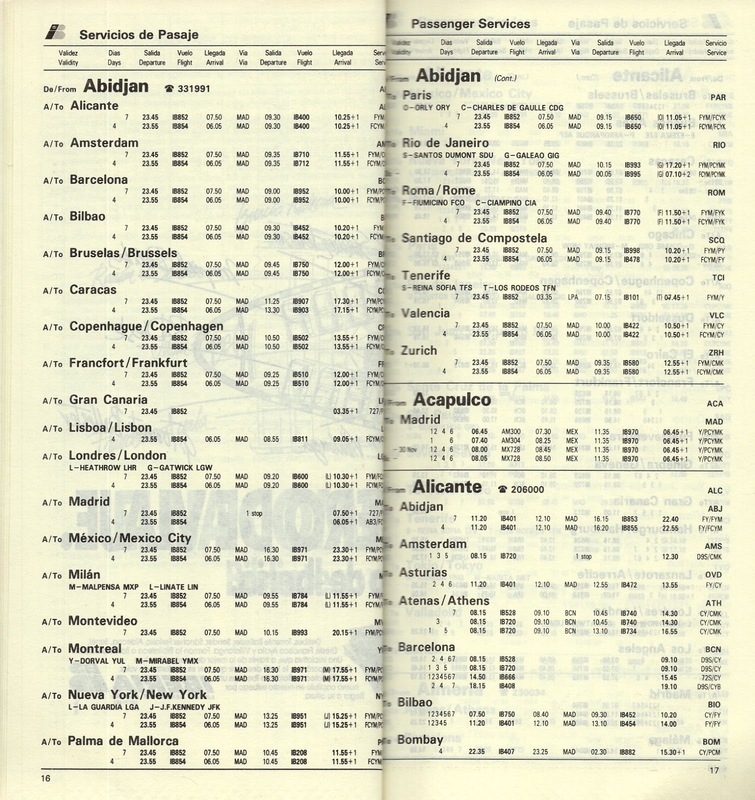 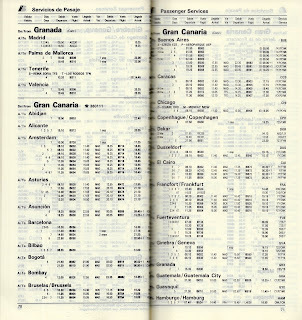 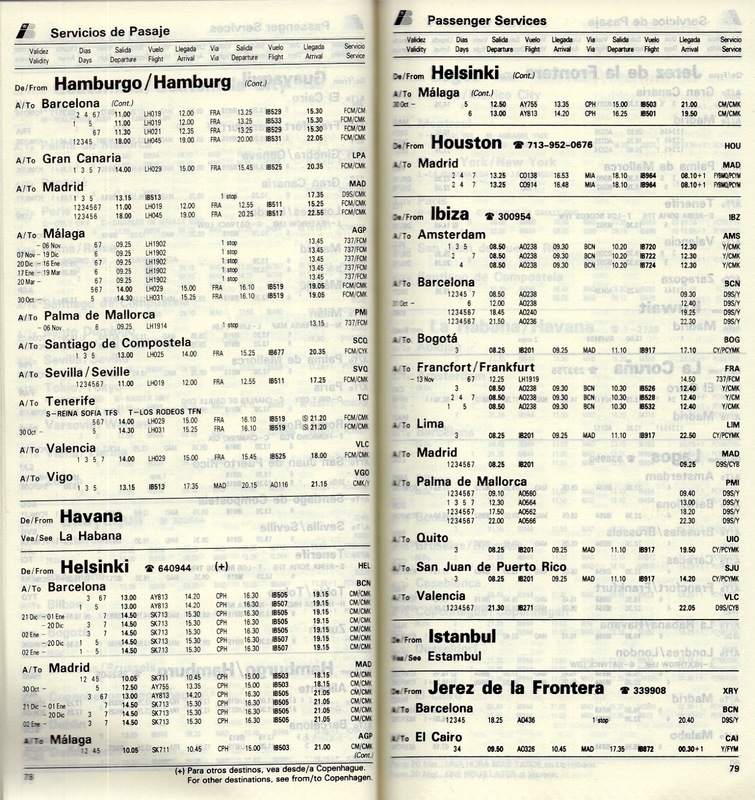 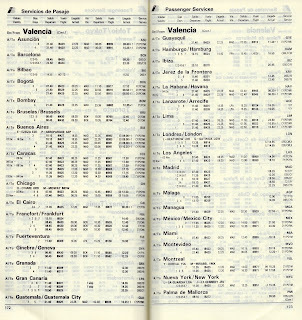 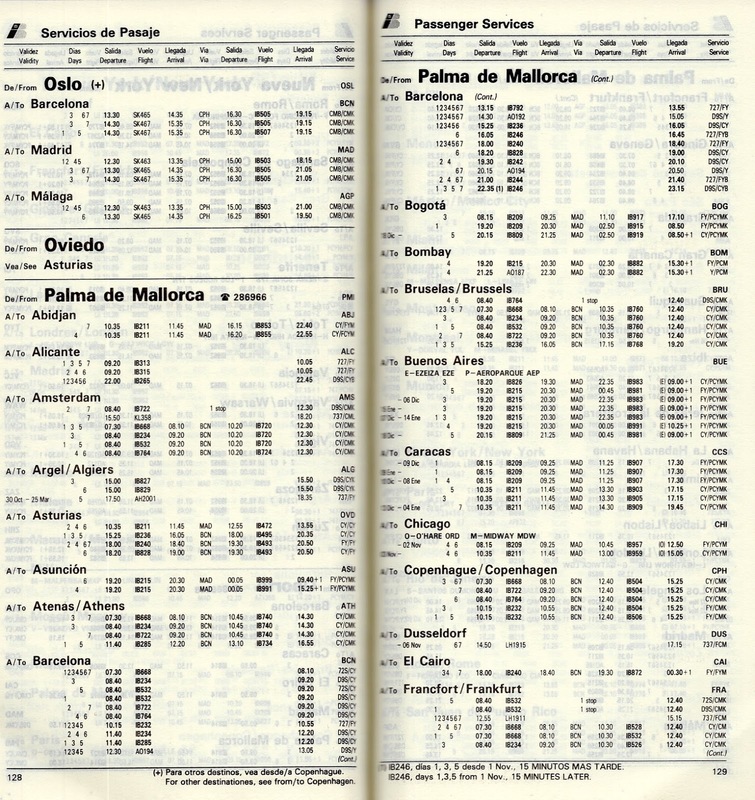 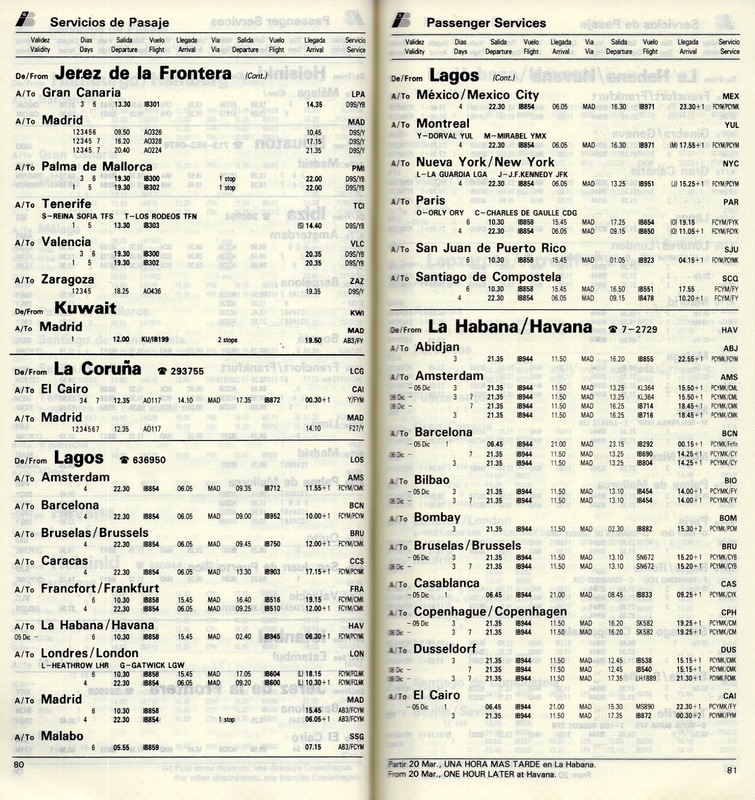 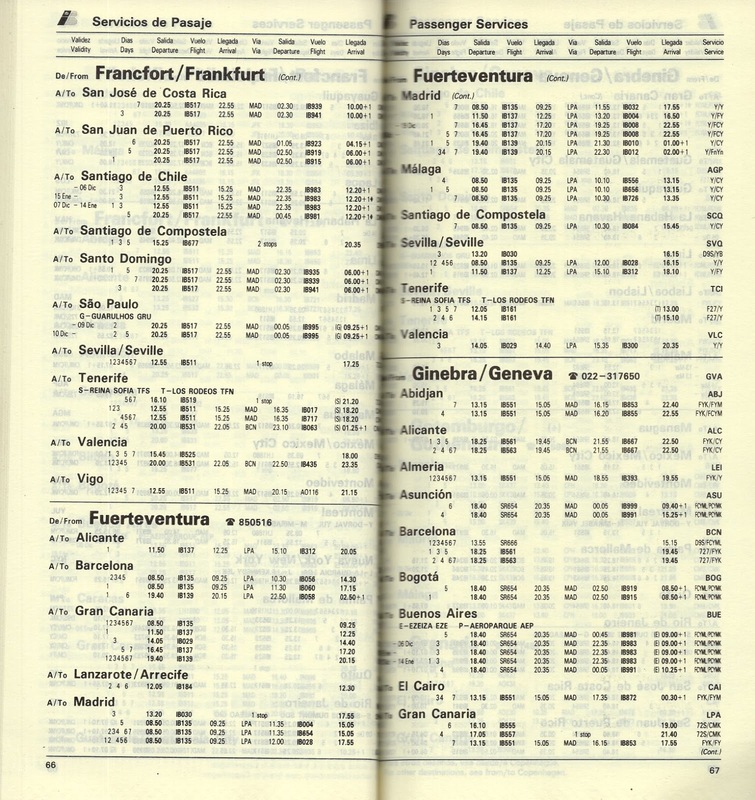 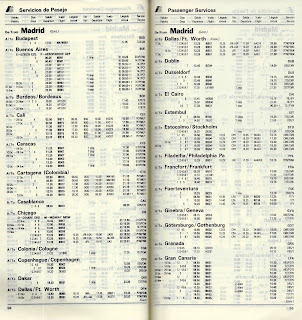 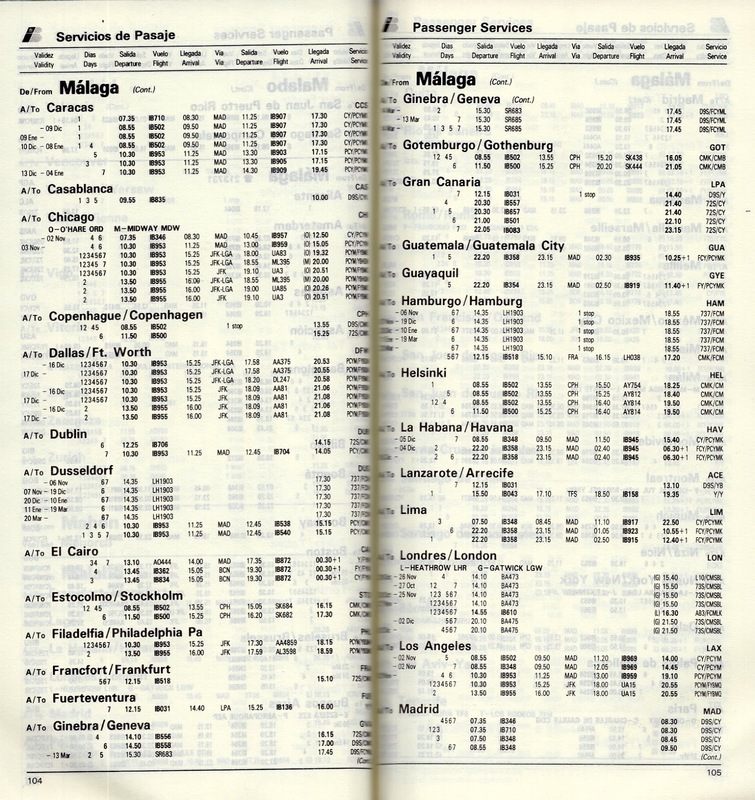 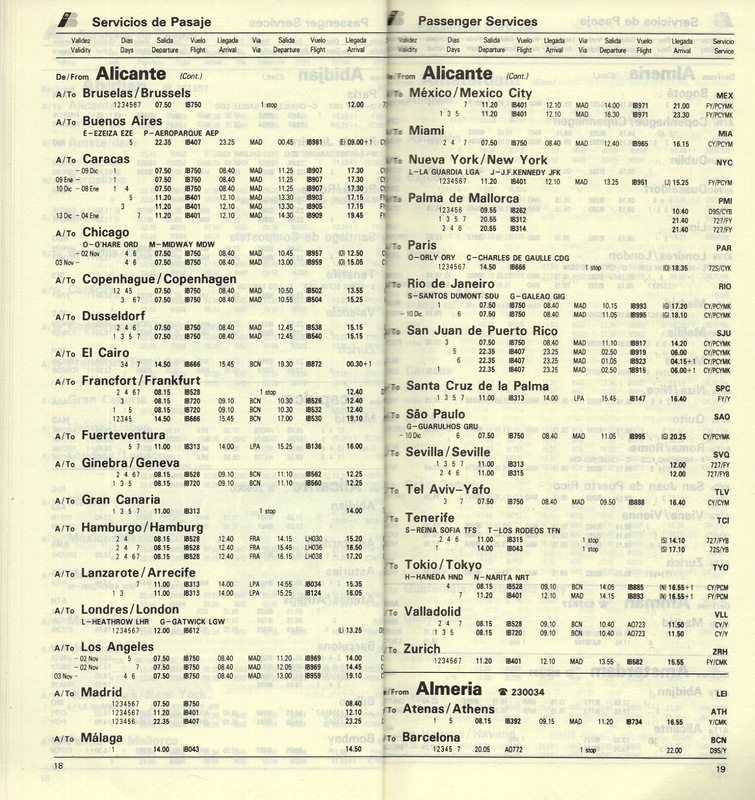 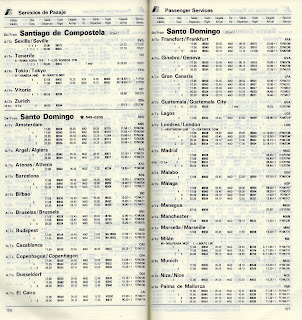 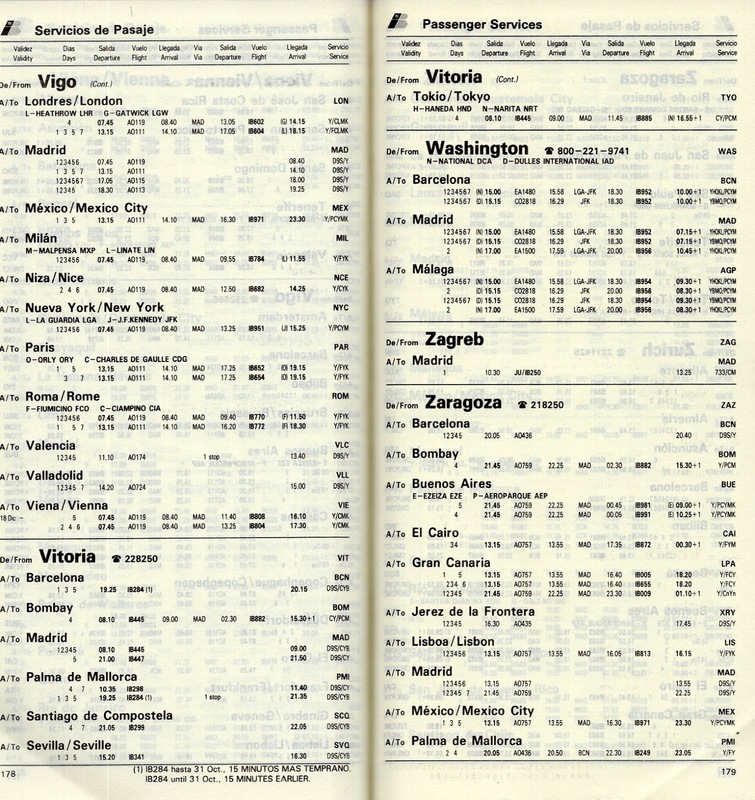 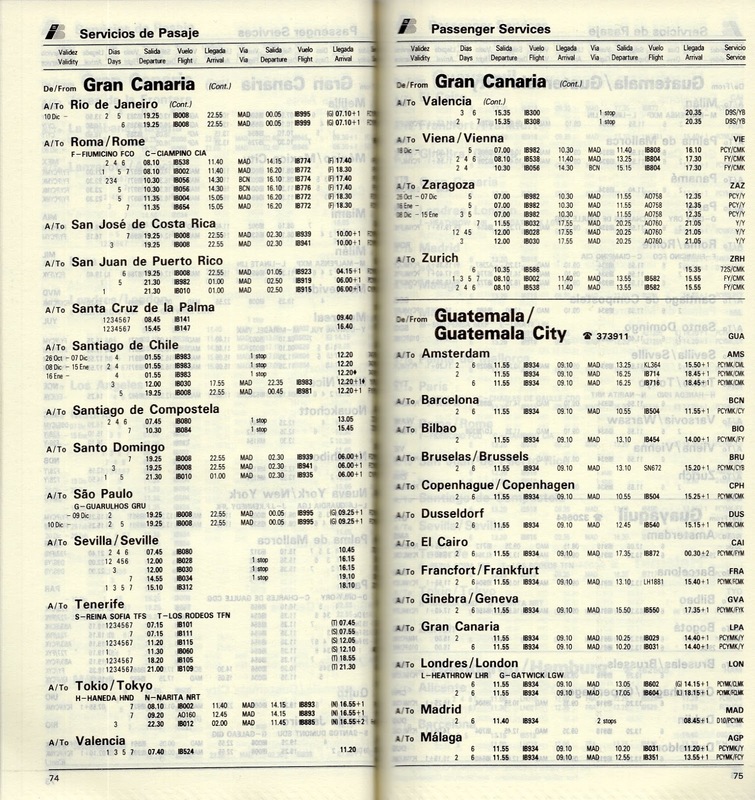 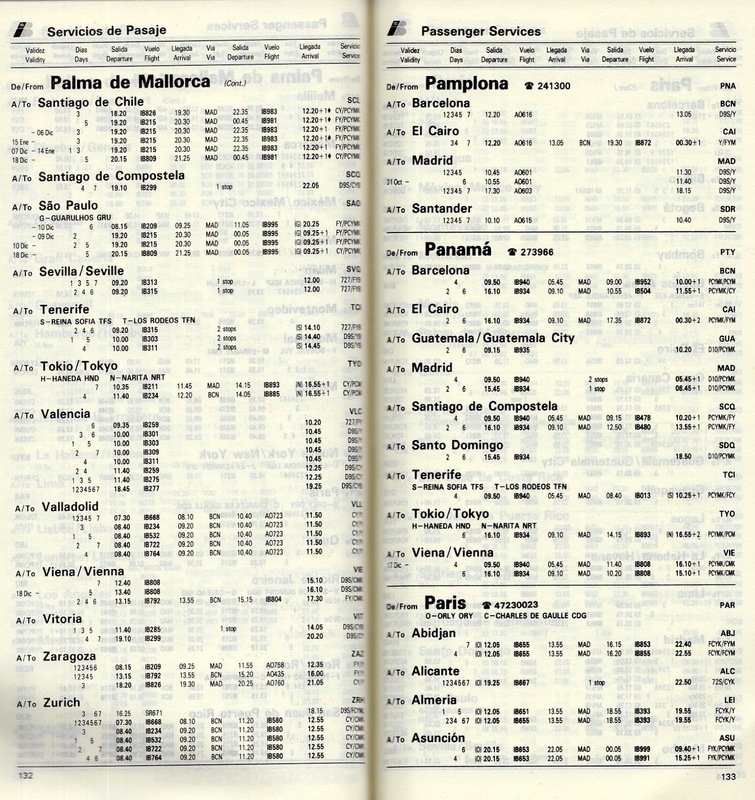 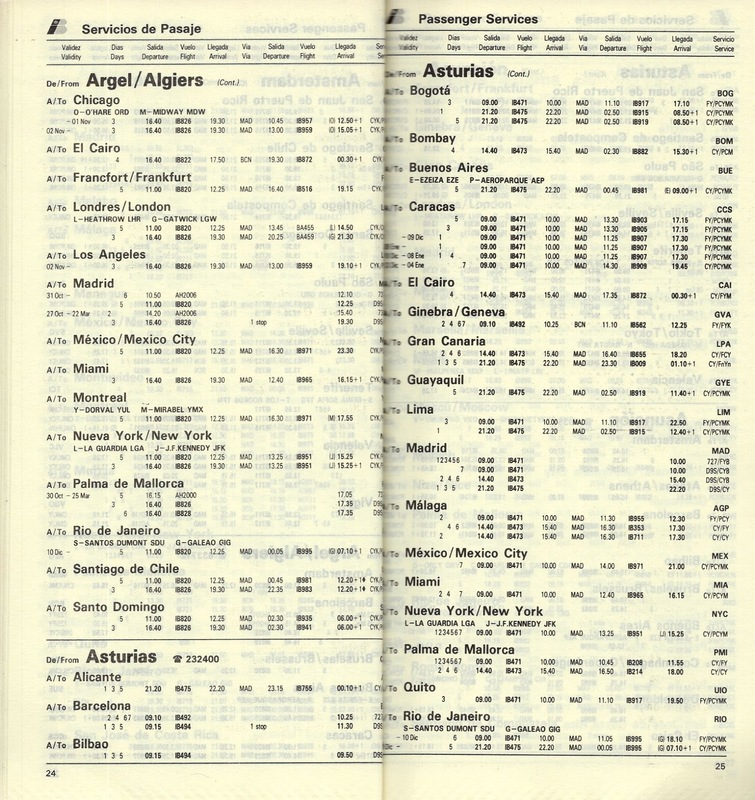 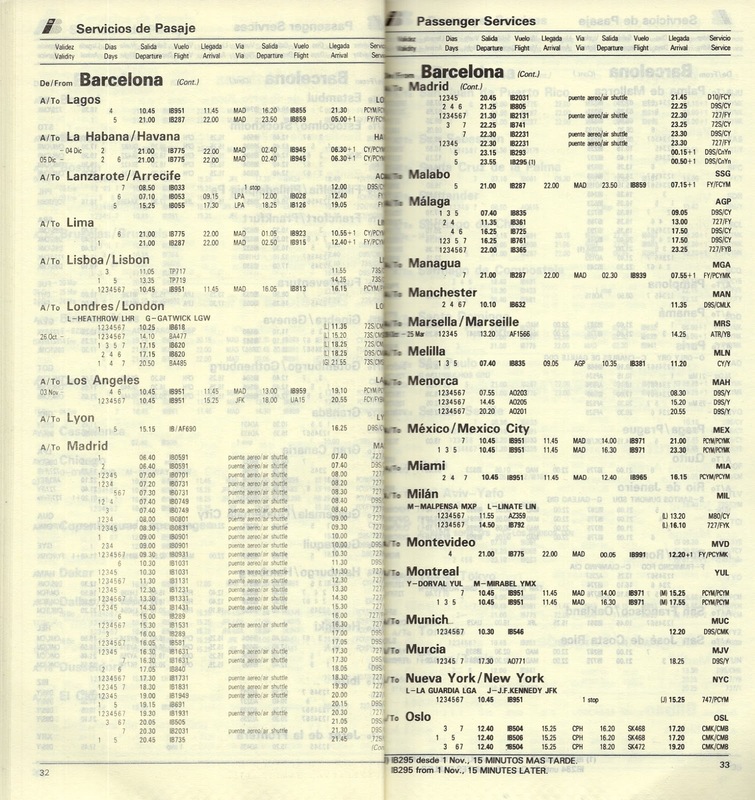 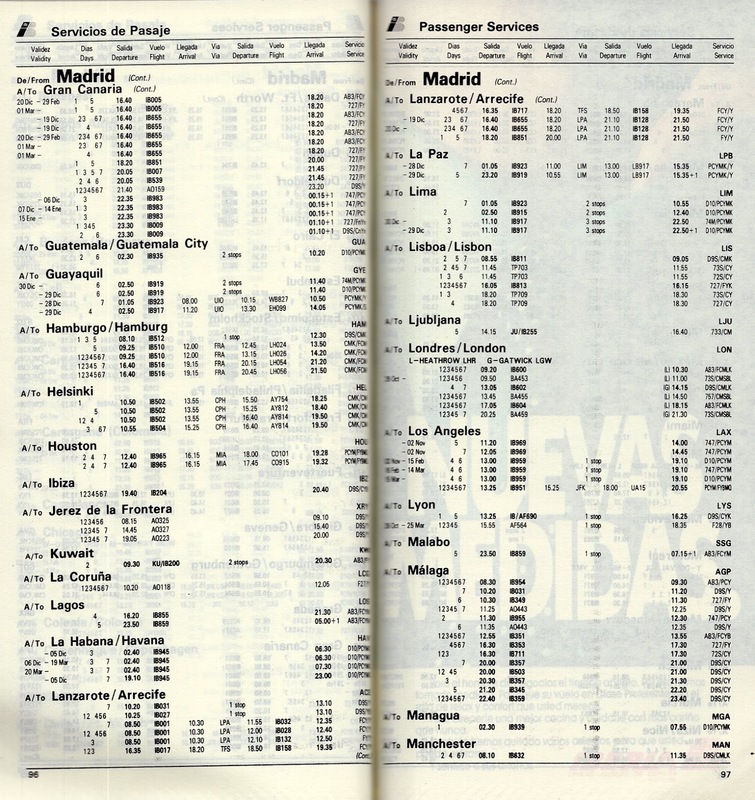 I am also adding some pages from the Ronda Iberia inflight magazines (July and August, 1987) with route maps, fleet seat charts, Madrid Barajas airport diagram, etc.